Despite the heightened popular protest demanding his removal, the embattled Sudanese president Omar Al-Bashir is still defiant and refuses to give in. He insists he can only be removed through the ballot box, in an election planned for next year. Al Bashir, who is leaning on the support of the Muslim Brotherhood and its international network, has warned the protesters against plunging the country in chaos, citing unstable countries in the region. He blames the unrest on an international conspiracy. 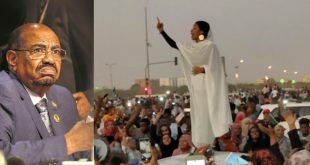 The protest that celebrated its one-month anniversary on January 19, 2019, has grown to cover all Sudanese cities and regions. This is the longest protest since Sudan became independent 62 years ago. Al Bashir has presided over half of the period since Sudan became impendent in 1956. Several people have been killed in stampedes, as police fired tear gas and live fire. So far, the unrest has claimed the lives of around forty people, including a doctor and a child who were killed by police bullets. In addition, close to a thousand activists have been detained in the protests. In an unprecedented move, a cleric stated that several clerics have asked Al-Bashir to step down. Meanwhile, Sudanese social media pages are buzzing with old and new catchy chants and protest songs inspiring the people. Previous Is This What We Really Want? Hi George; what sadness me is that the people who are wasting their time with this idiotic idea of federation and BS; they have no fate on the Eritrean youth that comes next. Like they have no idea the history of their country and the amazing history of their parents. Sure, Eritrea will work with Ethiopia because that is best interest of the people and the country. Sure, we can have the same currency. Sure, if Ethiopia can help me cover the cost of an embassy; I have no problem. anything else remains Eritrean; an Eritrea with her own borders; flags and functional own constitution. don’t undermine the incoming generation. “Sure, we can have the same currency. Sure, if Ethiopia can help me cover the cost of an embassy”, what else are you sure about? You see, you are joining the camp of confederation. Borders, the result of colonization, become meaningless anyway. Moreover, we don’t have any functioning constitution yet. Either you are for sovereignty or confederation. Come to reality and take a stand my friend. Djibouti imports most of vagetebles, all “cha’t”, electricity, even water through pipeline and so on from ethiopia and djibouti ports serves morethan 90% of ethiopia import and export shipments, that tells u there r a lot of economic integrations between them but nobody calls it federation or confederation. They are trading partners. Nothing wrong with that. The problem is when our DIA bows to Dr. PMAA and gives him control of foreign affairs of the country, when there is talk of the same currency, when Ethiopia is establishing its naval force in the Red Sea, etcetera, that is called confederation. Again, I don’t have problem with that as long as it benefits both countries and creates a lasting peace. I think this shows that we Eritreans, especially the PFDJ and their sycophants, are incapable of building our country. We have shown that the last 27 years. Dr. PMAA was the missing ingredient that will create synergy between the two countries. Time to swallow our pride. I know what u mean but don’t forget the two countries were in a state of hostility and animosity, so to start a new relationship, they have to change the hostile and war mindset and they have to talk about peace, freindship, unity, one people bla bla bla, that is how u change the ordinary people mindset. and also don’t forget, for 3A, talking about Africa unity, horn africa unity, ethiopia-eritrea unity will strength the unity of ethnically divided ethiopia. If u pay attention, he mentions mostly economic and political integration of the horn , when he wants to make a point about the need of ethiopians unity. so what matters is the concept, not splitting words. I hope you believe in the sovereignty of citizens. If you do, it’s obvious nothing can go smoothly unless it’s blessed by the concerned people. Before you worry about Federation or Confederation, if I were you, I would worry about the sovereignty of the people first. Then we could have the luxury to campaign for future governance if it ever comes to that. But being this obsession with a federation of confederation, while the people do not have basic freedoms is just convoluted thinking—not from you, the least. Please stop it. Also, you can swallow your pride but those who have nothing left but PRIDE cannot simply swallow it. You are insulting many of us. You read my mind or as we say it, እታ ክብላ ዝደለኹ መንጢልካያ! I am just stunned to say the least why in the world would we want to talk about Federation or Confederation when our house is on fire? We need ቢምቦሪ [Pompiere] not Federation or Confederation! It sounds like this: we are hungry and licked in a grocery store in fire. Let’s discuss if we should eat the frozen chicken or peanuts for two hours. We will think of escaping the fire with full stomach even if we suffocate with smoke and turn into grilled meat. Brilliant idea. We will just have to agree to disagree. Peace. But we do not have to agree to disagree. Let’s just disagree. As an Eritrean, are you ok with the country being RAPED in a broad daylight because the ongoing change is too fast and the people are to weak to resist and free themselves? Very depressing! Hi all; on this forum there is always a learning lesson. I am surprised to the point of disbelieve that Eritreans are so insecure. I didn’t see anything wrong with what so ever PMAA stated. What he stated about the embassy thing. I didn’t see anything wrong for PMAA asking for rail road from Mssawa to Addis. People time has changed. Whatever makes your country grow? Your people prosper; and you make a progress as society; you do it. If I am blessed enough with two ports and to work with 100 million people and industries and hardworking Eritreans; you diam right I will put it to the use of my people and country. never worked and it won’t work. They came with love and respect for me. When my adversary acknowledges my strength and tenacity and ask me for peace; I will gladly accept and move on. So, for those who are panicking and wasting your time, calm down. Eritrea is here to stay forever and EVER! I am with you. I want Ethiopia and Eritrea to prosper together, for the benefit of both peoples, under any conditions, whatever the arrangement is: confederation, federation, or unity (CFU). My problem is the denial of some sectors of our society for what is really going on and for their incessant support of a dictatorial regime. Pride of a nation doesn’t bring us bread. Democracy and unity does. Hi Nitricc. You are 1000% spot on! It is truly incredible how most here absolutely refuse to discuss ways to pressure reform from within the PFDJ and instead wish to peddle conspiracy theories. Don’t blame the opposition. If you are a PFDJ member or supporter the minimum you can ask from him (IA) is to call for the overdue organisational congress right now. Hi Amanuel. I am neither a PFDJ member nor a supporter. In my reply to Nitricc, I did not even mention the word ‘opposition’. As the bulk of commenters here are either TPLFites or those who have cohabitated with the TPLF over the past 2 decades, it would be totally incorrect in infer that they constitute a microcosm of of what the larger ‘opposition’ movement is. You are jumping to the same mantra call any one doesn’t agree with you TPLF. I raised very important issue about calling PFDJ congress to effect reform with in, which I thought that was what you wanted people to discuss here. Do you think having a Congress is one way of trying to bring reform? Even though PFDJ as organisations have no cultural backgrounds about reform. Hi Amauel. It has nothing to do with a TPLF mantra but everything to do with a group that had sided with the TPLF for 2 decades and lost complete credibility when the Ethio-Eri peace agreement was signed and who continue to further discredit themselves by relentlessly attacking PM Abiy. Regarding your question on the utility of PFDJ congress to possibly effect reform from within, it should not be discounted, and efforts should be made to call for peacetime congressional review of the PFDJ’s national charter of February 1994. Even PIA’s stool pigeons are nervous and wobbly these days and possibly open to change while PIA and his old rotating ministerial corps, are likely to fight teeth and nail against any substantial reforms as they know that their lives will be gone in the aftermath of major political reform. We should be zoning in on former senior members of the PFDJ, those that have fallen on bad ground with PIA to be change enablers as well as middle ranking military officers, those not yet too tarnished who don’t want to be negatively tattooed with a sinking PIA captained ship, to agitate change. People like you are fun. Who is giving you this useless thought that it only takes repeating a useless stuff over and over so that it sticks? If you can’t bring great things here, make the little things you can in a great way. Hi Hayat Adem. You better enjoy us while you can cuz our numbers are rapidly shrinking; Seems most have quickly tired from people like yourself who are hammering the peace agreement and trying to incinerate PM Abiy. Most of those who truly cherish peace and the chance to make things better back home, are now long gone. But hey, credos to you, your extremist group will soon have complete control of this room. Now won’t that be fun! It is a welcom development that you are believing on Eritrea youth to bring change. The problem is that you have a habit of jumping from one extreme to another one and I suspect you will blame them for running away next time. The problem is that you have a habit of jumping from one extreme to another one and I suspect you will blame them for running away next time. Hi Aman; where did i made the jumping? I know your judgment is blinded by the hate of the eritrean leadership while i am just focused what is good for the country. i understand your confusion. Please visit your past comments against Eritrean youth. However what matters is the present and please stay there. I realised early on (90s) the current Eritrean leader ship, specialty IA is not suitable to the requirements of post war Eritrea. Churchill was dampened in 1948 for the same reason. Most of the war leaders can’t be nation builders and that is the main reason I disagree with on IA. Sorry I just saw you comment. First I don’t consider myself an intellectual, just a qualified person in my profession, like anyone. You asked a pertinent question on why a united front cannot be mounted by those who theoretically can. The simple answer is weakness, insecurity and the poisonous divide-and-rule air that had been largely and gradually spread by the regime back home. The Ghedli mentality after the end of Ghedli became a liability instead of an asset. For example, the “we” in the “we can” attitude, instead of being plural that include the whole population, it became singular referring to the PFDJ and its its circle. They excluded everybody else, including those among them who apparently were open for inclusion. They excluded those “who can”. They want to be the only who can, weirdly to prove something that circulates in their head. A good CEO includes. PIA & Co are not are not good CEOs. They are bleeding administrators who want to create a new breed of “we can” in their image. Paradoxically, they exclude and export even those few they succeed in educating. For this and many other more important reasons those who “theoretically can” are revolting through silence, abstaining and observing from far. Ridden by nostalgia, they are waiting the next mana that either twists the minds of the gullible back home or some change within. Who knows the regime may commit a Harakiri of its weird politico-socio-economic none-program. Here at Awate, we are huddling like Penguins of the south pole, trying to keep the warmth by sharing what each can bring. Even we embrace some of the hedgehogs that come in between 🙂 🙂 . Sorry for your loss man. The biggest losers are people like you, the sycophants. Your unconditional support for DIA is coming to bite you back. Your DIA has given power to Dr. PMAA to be an Eritrean de facto leader.That by definition is confederation. So, don’t waste your time barking at the wrong door. Go ask your DIA why he doesn’t trust you instead. What a wasted investment! Are you sure that your boss will not take you on the same route (Federation) blindfolded, as usual without any say from his subjects? Come on George, open your eyes before it is too late, and join your hand with us to foil his conspiracy on our sovereignty. The “ungrateful lot” remark is haunting me. I should never have said it. I apologize. The “You can’t live with them and you can’t live without them” is not confined to James Bond’s line but it reflects the dilemma of the human condition as well. But here is the bright side. Isaias certainly is the wrong guy, at a wrong place, in fact he is in the wrong planet. Eritrea will certainly produce a citizen who will focus on the upside of Ethiopia and on our shared values so that the wall of bricks and mortars will be replaced by the wall of love and respect. 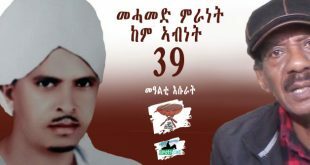 መቀነሱን ትተህ ወንድሜ መደመሩ ይሻልሃል. “I live a fulfilled life” ኢልካ/ኪ ተዛሪብካ/ኪ፣ ከመይ ኢሉ ሂወትካ/ኪ fulfilled ክኸውን ይኽእል እንድሕር ልብኻ/ኺ ብጽልኢ መሊኡ’ሎ? last time when there was no relationship, they came back as a refugee and start living in tents. am sure if the new relationship turn back to no relationship, in 10 years they will be back illegal immigrant looking for manual labor job. Have you ever heard about something called “Porcupine Dilemma”? Sideways is good I only ask you to stop magelameT. Hang on for as long as you can Beshir.The day you stepped down will be the beginning of your prosecution. Live with this opinion for sometime and you will be rectified perfectly. The more such ideas settle in you, the more you will think properly. You will enter the house through the door not the window. Walls of concrete are million times better than crooked secret pacts, integration, peace etc. for such kind of secret agreements lead to massive destruction and again to ground zero to begin a new vicious cycle. I consider you have gone half the way just continue and you will become more wiser and will respect humans and never transgress to their rights, and you will get the same respect from all, near and far. You veil your comments to sound as Zbazenki, but deep inside you know that is not how you want it to appear. My problem with you always looking down on Eritreans, even those who aspire to live in peace with everyone let alone distant neighbors. All I ask you is to have some respect for Eritreans (reciprocate) and be thrifty with your disparaging, depreciating views on us. Hi All. Attack PIA: Game On; Attack PFDJ: Game On; Attack PM Abiy Ahmed: Game Off; Pursue Ridiculous Conspiracy Theories: Game Off. Articulate strategies to effect change within/thru vulnerable links within the PFDJ: Game On. You are welcome…only when you discuss not when you say Zeraf Zeraf!! Didn’t we hear “Isaias is off limits” for decades when people defended him with everything they have, at the expense of citizenship rights? What’s new? Just a change of Bosses? Hi Saleh Johar. Selective auditory attention? Maybe true for PIA hardliners but certainly not the case for a lot of us. Biased vision never allowed you to see us? Macular degeneration? Maybe I can help. Change of Bosses? One wife is enough! Hi Saleh Johar. On a separate matter, I was talking to a friend of mine who told me that his father, Colonel Gebremedhin, used to be the administrator for Keren during the time of Haile Selassie; later he was also a Colonel during the Derg regime. Are you familiar with that person? Thanks. I am not so sure if it was Gebremedhin. But I think I know of a colonel who was a governor, it was in the sixties and i can say with certainty. What year was he a governor and when did he die? Hi Saleh Johar. The period would be in the 60s though I don’t know which specific year(s) and he died shortly after liberation. His Son’s name is Tewolde. Where is the blueprint with a unifying synergy for all eritrean, (At least a call to all sects of Eplf, Elf, and the current pfdj). Without a prejudice on their political outlook. I think that is the ground zero, where to start. FishMilk: have a gut, jump start it on your side. Hi Mez. You are right. Especially, in giving priority to Eritrea’s youth inside and outside of the country, such a blueprint is desperately needed. The Foreign minister of Eritrea, Abiy Ahmed has said in respect to the new unity Ethiopia/Eritrea/Djibouti, that they don’t need three ambassies to represent them nor do they need three army to defend their unity. Every time he opens his mouth, there is always new disclosures from the leader of the unified entities. Go and figure it out the fate of your country. Welcome to the camp of confederation. That is where we are heading. I am not in favor of “federation” nor “confederation”. I will fight to the end. If you are dreaming for that, there is no objective realities for it what so ever. Hold you breath. Of course, confederation, federation, and unity are not popular concepts. 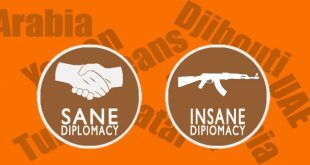 You have been paying attention to the peace deal between Dr. PMAA and DIA. All indications since then are pointing towards confederation. It looks like the center of government will be Addis Ababa. Why would Dr. PMAA would discuss the about Massawa ( an entity in independent Eritrea) and Addis Ababa Railway with the Italians without the presence of our DIA or our foreign minister? Dear Acria, the Ethiopian PM said “that is the vision, we are working towards [economic] integration of that region “, when the World economic forum leader asked him about whether they are planning to have IGAD as a single market. Nothing wrong really with such lofty ideas that could only have positive impact into the economies of our region, but for us as Eritreans, there is a much pressing issue of lack of justice and rule of law. Unless these issues are addressed, the benefits of such integrations would not be of much value to the Eritrean people, other than further empowering the DIA regime. Sooner than later, we need to have normalcy in our country; the rule of the jungle must end. the WEF host was more informed than Abiy thought. Probably also knows Isaias and Abiy are in for bypassing IGAD for their Somalia, Eritrea and Ethiopia axis. Which only make the three less accountable while dealing with the Gulf states. Isiaias hates multilateralism and Abiy is trying to find a way out. Lets see if its done without crossing with the African Union. You could change Eritrea to Ethiopia and Ethiopia to Eritrea and that will represent the Eritrean extremist version of we subjugate you or we want nothing to do with you. Elias Amare one of the propagandist of PFDJ, in his Twitter, criticized the Prime minister Abiy of speaking on behalf of Eritrea. In his Twitter he said “it is impolite to speak on behalf Eritrea, it’s embassies, and other matters concerning the Eritrean sovereignty.” Don’t you think he is indirectly criticizing his boss of giving the authority to the PM of Ethiopia? You see the PFDJites b/c of fear from being reprimanded they are criticizing the Ethiopian PM of talking on behalf of Eritrea. What is your say? Well, they have nothing to say except to deny and scream ‘woyane!!’. We, the people, have been asking for transparency when it comes to any treaty signed between these two ‘leaders’. We asked because we do not trust both -internal and external enemy. ‘Railway from Massawa-Ethiopia? – whaaaat? ‘it is economic ties?? Keep it coming, they have excuses! So Eritreanism and our nationalistic drive (patriotism) is dying a slow death! Being murdered by two conniving traitors! Accomplices are the Pfdjites in denial! I don’t even know why we get into debate with them. We need to do what we should do or should have done long ago! “Eritreanism and our nationalistic drive (patriotism) is dying a slow death! Being murdered by two conniving traitors!” I can’t agree more. With the fading of the “fighting spirit” of our people, I am afraid the Eritrean “nationalism” and “patriotism” will not survive. You see Dr Sarah, one would think at this “inflection” of our history, where the test to our sovereignty is coming from our inside and outside enemies, that all our social forces will rise up in unison to defend what makes us Eritrean and the sovereignty of our land. I don’t see the outrage of our people on what is going between Ethiopia and Eritrea. Where did it go our fighting spirit? Thank you for bringing the summary of their excuses. ‘I don’t see the outrage of our people on what is going between Ethiopia and Eritrea. Where did it go our fighting spirit?’ The relentless small doses of lies, the violence and atrocities from people we trusted with our lives etc. have weakened the spirits of many. Add to this the continuous attack and confrontation from the ተበለጽቲ Pfdjites who always live in denial ‘ዋላ ትንፈር’ምበር ጤልያ’ arrogance plus the speed world politics is changing. How much more can our already vulnerable young take? YET we need to use whatever is left of our stamina to rally our youth to fight back to death for their identity. For us it is now or never! By the way, if we die as eritreans, it will be the Pfdjites who die first. But they don’t know it, do they? This is my first interaction with you and I hope to get to know you well. You seem to have a good insight on our Eritrean dilemma. Hi Sarah Ogbay. And on the other hand, what do those whom have shamelessly over the past 2 decades sided with the TPLF, in their failed failed efforts to overthrow the them PIA/PFDJ regime have to say? Endless ludicrous conspiracy theories and concerted lambasting of PM Abiy? Look at how the volume of traffic has dramatically reduced on this website since the peace agreement was announced. Why do you think that is? Maybe because many can no longer stomach those formerly in cohabitation with the TPLF who are now consumed with endlessly bashing PM Abiy and chasing ghost stories? is that all you can come back with? TPLF! TPLF! Really? Why don’t you stop attacking your fellow Eritreans? Stop these excuses and open your eyes. The Eritreans you are accusing of plotting against DIA are the Eritreans who gave everything they can to see Eritrea free; many were ready to give their lives and many more have fought colonialism with everything they had. Do you really think they would conspire against their it now? I don’t know who really are but if you have done as much as they did, you would know it is not possible. Anyway, while you guys are lurking around to find an opportunity to jab at your own countrymen who want a better Eritrea, our enemies whom we chased our long ago will be stabbing you from behind. Fishmilk, discuss, debate on ideas not people or personalities, forget TPLF or Abye. Discuss where to we go from here and protect our sovereignty that we do not clock back to 1960. This is not the time were you beat your drums because we are upset! Not the time really! Hi Sara Ogbay. And, you are a linguistics major? Most of what you assert that I have said is simply incorrect. You say ‘Us guys’ are lurking around to jab our own countryman? Are the ‘countryman’ that you are referring to the same ones that have cohabited with the TPLF over the past 20 years? Have You ever asked yourself why the opposition has -zero- credibility? You say forget the TPLF and Abye? Are you blind to the ongoing character assasination against PM Abiy that continues to take place here? Man, you are soooo stupid! ኣስቀያሚ! She could be a Lit. Prof. or a Pultzer Prize winner for that matter. This ain’t a display for a work of art. This is just a Forum where people exchange ideas more often on a spur! Get it? Hi Paulos. Enjoy the right that moderators here have given you to flagrantly insult others! You are one brave soul! Good on you buddy! And you say, Macular degeneration is a nice word? Have some respect! Hi Paulos. Macular degeneration is quite common and is 2 words; it is not a negative but rather a reality for many. The point is not whether MD is common or not but it becomes pejorative when the intention is to imply old age for it becomes more common in old age. Hi Paulos. That’s your negative interpretation not mine! If you are ዓይኒ ሓኪም like Paul says, Eritreans need to develop tapetum lucidum because we are in the dark literally and figuratively. FishMilk, as a deep sea fish, you should have one! 🙂 🙂 🙂 . You should have a cat, man! Tapetum is the a cellular layer (sometimes a intracellular structural layer) that exists generally under the retina of many species of animals except man and many primates, that helps them to concentrate the visible spectrum of light waves for improved vision in the dark. When you see a cat in the dark, you see the two glowing eyes only. That is thanks to the tapetum lucidum that exists under the retina and reflects and concentrated light back to the retina for a better visibility in the dark. That’s interesting. I didn’t know. Thanks for the info. Hi Paulos. By the way, I am seeing many younger people <40, who had high myopia and had undergone lasik who are now encountering retinal and macular problems. For those with refraction above 5 diopters, stay away from laser eye surgery! So you are ዓይኒ ሓኪም፣ Good for you! Hope you make an effort to treat Trachoma which is the most common cause of blindness particularly in Eritrea and Ethiopia. The countries need people of your expertise. Still talking about TPLF? Still personal attacks? I would have asked you what is it that you considered ‘character assassination against’ DIA but then it will ‘TPLF’. So let’s agree not to agree and let others continue some sensible discussion so we can learn from them. have a good night. Hi Sarah Ogbay. Like I have said, you wish to attack PIA, then please go ahead! Game On! However, before and now, I could never digest those in the opposition who chose to cohabitate with the TPLF (especially while our brothers and sisters in arms were in the trenches). At least to me, this was incredibly shameful. A good night to you also! You seem to have forgotten that it was TPLF and EPLF together that drove our Eritrean fighters out of the Eritrean political arena. Talk about shame! The second part of Isaias’ interview was supposed to cover the controversial issue where Abiy doesn’t seem to let up but doubling-down instead. And we can’t help it but remain suspicious if the reason Isaias suspended the interview was a tacit approval to Abiy’s effort to undermine Eritrean sovereignty under the guise of lofty but unrealistic vision. This is to say that, what Amare or Bruno says doesn’t mean much till Isaias clears the muddy waters by stating his stand in no uncertain terms. Who is Bruno? The minister of international trade? It is too expensive for Eritrea that doesn’t have yet ‘a constitution and everything that comes under its umbrella’ go spending a lot of precious scarce money sending international delegation and representation while it has a freely available service of PMAA, who is PIA’s & PFDJ’s first favorite prime minister. At least before 2018 Eritrea was sending the duo because the then Ethiopian PMs were the favorites of the Eritrean opposition. PIA is playing or testing the game his opposition played. To each his favorite PM, according his needs! Bruno is the Eritrean Ambassador to Japan. Thank you Paul. Didn’t know. I was trying to get sarcastic naming a ministry that will not even exist in Eritrea in the near future. In our discussions I observe that those who support the government of Eritrea are lacking to show GoE stand on important issues: such as the dealings with Ethiopia including the Massawa to Addis Railway, the Sudan demonstration. They go to Y/ G.Meskel he is talking about nurses graduation and Estifanos in Tokyo is another type except he is told to twitt serious issue like the shooting of Wedi Efrem…and this again only when he is told by PIA. 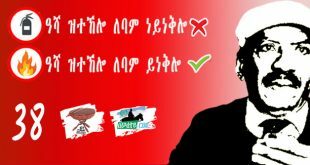 Let Abiy do it . He is clean and more than that , he pardoned his political rivals even those with the guns! For Sudan: as Sudanese say the one who has not anything can’t give anything. So for GoE , it is better not to speak about it. Again, I, George, have to be the one to explain. find anything that will made you believe he is against economic integration. Do not look, you will be wasting your time. He is all about glorifying shortsighted Woyane. He has called Ethiopians UNGRATEFUL LOT. like I said he could care less about Eritrea let alone show some kind of worried about integration. 2.ACRIA CHARACTER … how do you miss this guy oh, I mean how do you not understand him. This make me to believe I don’t think you understand why he writes or you paid attention. Acria is for Federation. That is far way above the economic integration. 3. Berhe is actually my little pet project. He kind of a featherweight, unable even to comprehend the simplest of things. He’s most likely tribalist or clannish. He is a one issue individual. The removal of p i a. So your question is misplaced. Misdirected. You are barking up the wrong tree. you are creating non-existent issue. I had to say this but your question is cringe-worthy. I’m actually against economic integration. It is a very very bad idea. you’re looking at things from the surface. I’m pressed for time but if you need to I will explain to you later. Have a nice day. You got it right. I am for confederation or federation. Although I am using my own words, my thoughts represent a significant amount of the disproportioned Eritreans. It is people like you who support the regime, despite its major crimes against humanity on the Eritrean people, that forced Eritreans to seek a workable confederation or federation. What is sickening about people like you is that you live in a the Western democracy and are unable to think likewise. As long as your private interests are maintained, you can care less about the suffering of your people. Now that Eritrea is open for the highest bidders, Ethiopians, Middle Eastern tycoons, and now Europeans, people like you are economically insignificant. You have had the power for the last 27 years; nevertheless, it was politically and economically abysmal. Ethiopians are moving at the speed of light: extended the peace treaty, are giving Eritreans residency permits, repairing the road between Assab and Ethiopia, planning to open Massawa-Addis railroad, establishing naval force in the Rea Sea, planning to have one currency for two countries, and etcetera. This is happening within the span of few months not 27 years. You see what is going on? You spent your time supporting a government that was never elected and nondemocratic. Now you are paying the price by being forced out of the Ethio-Eritrea market. It is oromai for people like you. There is nobody will stop this progress from happening: your DIA has warned you so. Don’t you think it’s reckless to worry about federation between Eritrea and Ethiopia when inter-Eritreans problems are crying for resolution? Please stop this halewlow. Sorry brother Saleh. It took me a long time to reach to this ‘halewlow’ conclusion. It is never reckless to find a plausible solution to our misery. It is a simple prescription to get rid of our DIA and his PFDJ goons without the need to resort to war. For now, I will settle for confederation, which will keep Eritrean sovereignty. One thing you have to keep in mind is though, this concept is not about us, the diaspora, it is all geared to alleviate the suffering of the Eritrean people back at home. I seem to be losing you. How is Federation or Confederation linked as a mechanism to get rid off Isaias or his regime? I don’t see the cause and effect between the two. As we all know our DIA is just an individual without hic core supporters both at home and in diaspora. Everyone, including me, wants a sovereign Eritrea. That was already accomplished. What we failed to accomplish was a democratic Eritrea. In order to achieve this, we need to declare an actual war against the regime or Eritreans need to revolt inside Eritrea. These two methods are not happening anytime now, due to lack of material, personal, and institutional support systems. That left me to rethink another method: confederation, federation, or unity (CFU). Remember Dr. Paulos, these are not popular sentiments and you are not going to see Eritreans to come out publicly to endorse these views; albeit that they might have entertained these ideas to some extent. It is not a secret that our DIA have these sentiments to begin with. We have heard him from his various statement about his feeling towards Ethiopia. This is, obviously, in line with the opinions of majority of Ethiopians. On the other hand, the core supporters of our DIA, Eritreans nonetheless, are not happy about this trend. Therefore, the fissure of dispute between our DIA, PFDJ, and their supporters is growing bigger every day. This inevitably with create weakness in the regime and they will finish each other. Case in point, the arrest of Ato Berhe Berhane and the assassination of General Sebhat. This is one of the reasons, internal squabbles, why the great ELF was driven out of Eritrea. Now, this scenario will weaken the regime and the opposition should be ready to embark and establish itself to fill the power vacuum in Eritrea. This might bring the supporters of the regime, dwindling in numbers, to reconcile with the opposition and hopefully establish a democratic Eritrea. If this scenario fails to materialize and one of the elements of CFU was to take place, there are ways to weaken our DIA and his PFDJ apparatus. That will be discussed when the time is right, as it is not ideal to spew political and military secret publicly at this time. I am amazed about your approach to the issue of federation and Isaias. The engineer of the federation and the so called peace is ISAIAS. The question is: How do you embrace the map designed by the engineer and at the same time fight him? I think, kids are more smarter than your crippled analogy. You said, “The city of Akhria”. You are unmasked, shame on you. Treachery and burglary never bring peace and prosperity; it is just an invitation for war. The engineer of peace and confederation, not federation, is Dr. PMAA, not our DIA. Our DIA might have dreams about federation; nevertheless, he never acted on it during the last 27 years. Lets give him his proper nickname instead: engineer of dictatorship. Hameed, please read the comments I gave to Dr. Paulos below. The contents of the rest of your paragraph, they don’t make any sense to me, so can’t respond to them. So if this is all the work of Dr. Abiy, what is in it for Isayas do you think? It could just mean that he feels important when someone approaches him and extends the peace treaty. Have you seen how he was so giddish when he was giving speeches in Ethiopia. He feels that he is important now. Let me explain it to you in another form. The dictator signed a pact for confederation or federation name it as you like, no difference at all. This means, he handed over Eritrea to Ethiopia. You embraced the works of Isaias and blessed it. Tell me now: How do you accept the works of Isaias and at the same time condemn him? I advise you a brotherly advice to be honest and respect the people of Eritrea. You have to understand you are transgressing deep in treachery against the Eritrean people. The way things are going on, you need to think at the speed of light. I advise you again to guard your emotions: prescription to critical thinking. Use your words smartly and not haphazardly. That being said, peace and ultimately the alleviation of the suffering of the Eritrean people are not only my wish, but also, the desires of all the poor Eritreans at home. That should never be lost. I think it is time for you to visit Eritreans in Ethiopia personally and gauge their views on this subject. Eritreans at home are not free to express their feelings, as you know. I understand the Eritrean people have no choice at this moment. The same can be said when Eritrea was focefully joined Ethiopia in 1961. There were many Eritrean who oppose that union but there were also those that supported it. But in the end it had not legitmacy from the Eritrean people, no transparency and the national assembly had no right to hold the trumped up vote in the first place. The result of that you know, for Eritrea as well as for Ethiopian. Now almost 60 years later we are going along the same path. Even this time, the legitimacy is a lot worst than it was in 1961. If Isayas intention was all along to make sure to kill the revolution and Eritrean remains at the control of Ethiopia, he has achieved what he planned. But the Eritrean people desire is not that and they have paid heavily to prove that. If Ethiopia ventures in that direction, I can tell you it will be costly for Eritrea but I would say even more costly for Ethiopia in the long run. Sure there is more food and the average people can afford to eat now than they did a year ago, but it doesn’t solve the long term problem of our country. The Ethiopians know that we are at the weakest point in our history. We have a hermit regime that is despised by most Eritreans. The only people that are supporting the regime are the ones who think they will benefit personally from him. The future building blocks of the country, our youth, are desperate enough to flee the country at any cost. Moreover, there is no opposition at home, there are no political institutions to mitigate the situation, and there are no strong oppositions abroad. We do have a choice to some extent, but we are incapable of doing so. Those are recipes for our disaster. Therefore, war with Ethiopia is no longer an option because of the notion of confederation. Our status quo doesn’t allow it. You have endeavored to be super cunning person, but you are exposed. You thought that Eritreans are in the forties and fifties of the last century. Unfortunately, time has changed and Eritreans are more wiser than that period. My friend, no need to confederate with a country totally depends on donations. Eritreans are not ready in your none ending alms campaigns. What are the benefits Eritreans will get from this poor country? It is true this poor country could benefit a lot from Eritrea, but they have nothing to export to Eritrea except poverty and pulling Eritreans to Stone Age. To live in peace with this uncivilized country is very impossible. They have to go a long way to understand the meaning of law and respect of human beings. There is nothing good to come from the south. Just demarcate the border on ground, and the rest is the business of the Eritrean people. The people of Eritrea could extend their hands of aid as the rest of the world to this very poor country. Truly, it is a curse to be the slave of uncivilized country. The people of Eritrea should move quickly to save their sovereignty. We will just agree to disagree. Peace. Yes, I disagree strongly with nonsense opinions and transgression on others rights by throwing baits. ጹቡቕ! በጨቕ ካብ ዝብለካ ኣይወሓደን. But keep in mind our pain is temporary, and surrender is not what Acria known for. Change your nick name, please. As you have said it perfectly, ‘ our pain is temporary’, so is my strategy. It is to facilitate the demise of the Eritrean regime and its sycophants. It should never be construed with surrender. My heart and soul is always with the famous city of Akhriya and its inhabitants. Acria is not a city; it is a neighborhood in Asmara. Nonetheless, I would first diagnose the pain, and then prescribe a solution. We do have the diagnosis, we are lacking an appropriate prescription to alleviate the pain. Don’t you think so? Sorry for the late reply. I think the appropriate prescription is loud and clear: power to the people. The talk of integration while the country remains an open air prison is a JOKE. Have you seen the interview he gave at Davos? The guy pressed him does he fear any setbacks, failure but he shrugged off with confidence. And reading his body language and “smirk smiley face” I thought was devious. There was an interview and an Ethiopian named “ኢንጂነር ይልቃል ጌትነት” on FB and I don’t how old it is but he said, he is dictator in the making. He is touching one subject and moves to the next, his focus is on foreigners, social media, public relations and not making hard decisions. He has not been able to provide concrete plan how to resolve all the challenges the country have such as economy, social and political challenges. Not only not been able to solve, he doesn’t even have any plan how to resolve it, his focus is just to hype up the public. Fear of the unknown….and he quotes “Foreign affairs magazine which wrote recently that, Ethiopia could be to be like Yugoslavia”. No I haven’t. The minute Herman Cohen revealed the next prime minster before election it was obvious something was not ordinary. PM Abiy said that as long as the people of ethiopia are with him, he has nothing to fear, and that is the reality. The support pm Abiy has from the ethiopian people is the big problem for his enemies. Support for the ethiopian pm as one can see was very obvious from the way the president of the eu, Jean-Claude Juncker, treated him at the signing of the 130m euro in aid. The eu has promised to continue aid for his government in the future. Does that show you that he is alone and ineffective? As much as the internal problems are concerned, dawud ibsa and his olf, the main problems, have been abandoned even by jawar mohammed, and in about 20 days olf fighters should disarm and enter camp, otherwise the federal army will take any measures it deems necessary. This agreement has been reached with the help of oromo geda fathers, and dawud ibsa is completely isolated without causing major crise. Is this too pm Abiy’s incompetence and failure? Is there a solution in politics without the use of lethal force? Is it difficult to understand that ethiopia has gone beyond the era of tplf dictatorship and that of the the so-called decisive tplf leaders, who solved all problems through state violence and through the barrel of a gun? Those who say that pm Abiy is a dictator in the making are people who are barking at the wrong tree hiding the real dictators. They do not want to see a democratic ethiopia, and they think that when people like bereket simon, the tplf Joseph Goebbels, as Ana Gomez, member of the eu parliament, is supposed to have called him, are imprisoned for corruption and human rights, it is equivalent to the action of a dictator, as much as such people are concerned. Finally, if eritrean elites do not want economic integration until a government of their choice comes to power, nobody knows when, that is not a problem for ethiopia, because ethiopia can do business with others, or she will go it alone, for eritrea does not play a decisive role in ethiopia’s economy. The gain is much more for eritrea than for ethiopia. If in my simplistic understanding of the matter, economic integrations means the free movement of commodities with no tariffs, and prices become lower and jobs are created, and products become competitive beyond a country’s border, and if eritrean think that this puts in danger their sovereignty, they can as well say no, and block the way. After all, the biggest market is the ethiopian market as compared to the other three which together do not add to more than 15m people, and therefore, ethiopia has not much to lose. This means anybody can ascend the bandwagon at any moment of their own choice, or exclude themselves permanently, but nobody is going to wait for them. They better know it. PM Abiy said that as long as the people of ethiopia are with him, he has nothing to fear, and this is the reality. The support pm Abiy has from the ethiopian people is the big problem for his enemies. In addition, the support as one can see was very obvious even from the way the president of the eu, Jean-Claude Juncker, treated him at the signing of the 130m euro in aid, and the promise the eu gave him for further help in the future. Does that show you that he is alone and ineffective? As much as the internal problems are concerned, dawud ibsa and his olf, the main problems today, have been abandoned even by jawar mohammed, and in about 20 days olf fighters should disarm and enter camp, otherwise the federal army will take any measures it deems necessary. This agreement has been reached with the help of oromo geda fathers, and dawud ibsa is completely isolated without causing major crisis. Is this too pm Abiy’s incompetence and failure? Is there a solution in politics without the use of lethal force, or not? Is it difficult to understand that ethiopia has gone beyond the era of tplf dictatorship, and that of the the so-called decisive tplf leaders, who solved all problems through state violence and through the barrel of a gun? Those who say that pm Abiy is a dictator in the making are people who are barking at the wrong tree while hiding the real dictators. 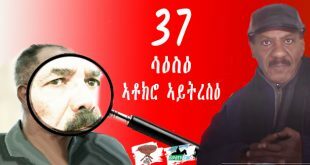 They do not want to see a democratic ethiopia, and they think that when people like simon bereket, the tplf Joseph Goebbels, as Ana Gomez, member of the eu parliament, is supposed to have called him, are imprisoned for corruption and human rights abuse, it is equivalent to the action of a dictator. Finally, if eritrean elites do not want economic integration until a government of their choice comes to power, nobody knows when, that is not a problem for ethiopia, because ethiopia can do business with others, or she will go alone, for eritrea does not play a decisive role in ethiopia’s economy. The gain is much more for eritrea than for ethiopia. If in my simplistic understanding of the matter, economic integrations means the free movement of commodities with no tariffs, and prices become lower and jobs are created, and products become competitive beyond a country’s border, and if eritrean think that this puts in danger their sovereignty, they can as well say no, and block the way. After all, the biggest market is the ethiopian market as compared to the other three which together do not add to more than 15m people, and therefore, ethiopia has not much to lose. This means anybody can ascend the bandwagon at any moment of their own choice, or they can exclude themselves permanently, but nobody is going to wait for them. They better know it. the boundary and idintity commission that been approved by the parliament, the liberalisation and privatization of the economy and peace, economic integration with neighboring countries r a big concrete plan. The talk of [economic] integration, alias confederation, is in the works. Confederation should not be judged based on our, the diaspora, emotions only, rather, we really need to consider from the perspective of Eritreans back at home. We ought to be practical here: what is possible and achievable in the near future using the current trends and use them towards our end goal, the demise of PFDJ. As long as our final destination is to give power to the real people, it is permissible to take different routes. I think the saying ‘no pain, no gain!’, applies here. Lets redirect our anger and our emotions to a positive outcome. No one is in a position to rule out anything other than the will of the people, and for that to happen, the people need to be free first and be able to build an institution that helps entertain such scenario otherwise it sounds more like trying to convince a bleeding patient for cosmetic surgery. Hi George. Fact is, if the very few Eritrean patriots here quit posting on this website, it would likely quickly become a dead forum. Though they relentlessly attack you………you give them a desperate reason to exist. Fact is people have always to express themselves even if they don’t agree because to express yourself is a natural treasure….FishMilk if you are in Eritrea I can sympathize with you but if not .please wake up from your day dream. Hi George: so what do Eritreans want? They don’t war; they don’t want no war no peace; now they are opposing the peace. What is the plan? I am really confused. The DRONES too have 100 years, old technology? What about the Huthi DRONES? Did you see it before a week striking Yemeni generals at a military parade? It seems, you are totally absent from the world scene. It is good to expose your ignorance to the public to see and watch. You are living physically in the West, but mentally you are from the Stone Age. Physical presence at a certain position doesn’t change a person, the setup of mind the most important. The world might be open for people like us, the diaspora. Most of us have citizenship of our adopted countries. For the poor Eritreans that are leaving in the hermit state, they don’t have an option except try desperately to escape the slavery imposed by our DIA and his juntas. You talk as if Eritreans have an option. Rather than being driven by emotion from a distance, I want you to do some leg work and visit Eritreans in the refugee camps of Ethiopia and Sudan and hear them how they feel about moving freely. Please try to make some common sense. Moreover, belittling Awate participants is a sign of weakness and desperation. That is a bad resume to carry around. Hi George; what you have to say is very unfair and i disagree with your take. SAAY is very reasonable person and who loves his country and people. Sure, he frustrated as he should be and you should have understood the predicament he is in. He defended his country on her dark days. come-on, man. First I don’t think there is anyone panicking, specially the people you listed including me. Let it be for the record, you were day and night praying and hoping for Ethiopia disintegration. Just stating the facts …. Having said that there is nothing wrong with economic or other mutual beneficial to both countries and people. However it’s nit as simple as you think it is, when there is no accountability and there is no open and transparent agreement that can be criticted by those in the know and the public to look its benefits and its disadvantages. Before such drastic measure can take place, it requires years and years of peaceful trade and coexistence to take to the next level. All these is absent in Eritrea and there is no garantee that it will lead to positive outcome, specially knowing our leader hectic behaviour. From Eritrean people point of view we need to focus on our people and our economy and develop our unique economic plans that is suited for us and benefit our people first. We have a lot of resources the Ethiopians need and they have many that we need. We should first focus on trade (as in free trade), movement of people and goods, exchange,labour, currency and transparent policy. I hate any federation or confederation talk because we need to focus on our own problems and let them sort out their own. It certainly is great to get excited where the kid in all of us used to get perked up with a candy on sight. But we need to step back and step on reality before we get carried away with emotions. First of, what does even mean when we say Economic Integration? To help us see what it is, we need a context. The modern state that we know of today goes back to 500 years or so when certain fundamental factors came into play where one of the factors gave rise to the imperatives of economy in tandem with the political realm. To be more precise, when the modern state came into being mainly in Western Europe, its early function was limited to providing order, security, law and property rights and according to Fukuyama, particularly the latter gave rise to the making of the modern economic world. As you can see, the key word is property rights. When properties of citizens are protected, the guarantee creates incentives in the citizens to engage in invention and innovation where they become the economic bedrock of the nation. That is basically, the intellectual foundation of open market economy and liberal political ideology as well. If we push the argument a bit further, a nation built on the same political and economic philosophy would tend to look for more economic partnership in other nation with similar ideology. It is called, economic integration. But suppose, you have a nation where let alone property rights are protected but its citizens are denied to own properties, would any nation of open society want to have economic integration? Absolutely not. The logic is not complicated. A nation whose citizens are not free is not only precarious but is not stable as well. No one would want to do business with someone with fast approaching life span. First of, what does even mean when we say Economic Integration? To help us see what it is, we need a context. Hey P; very interesting? I don’t know, I thought I knew and when I read your question, I step back and try to think and all I understood it to be is a free tread movement. Trucks from Ethiopia go to Massawa or Assab unload their thing and head back to Ethiopia with imported commodity and Eritrea will benefit from ports fee and logistics. I know the tread system is traditional- cultural kind of activities. there is no well street or any kind so, I thought to be just that. Regarding what ever it is, I think it is a win-win situation. The last 20 years both countries tried and lost and they understood the value. this is the reason why both leadrs are movong faster than speed of light. Well, I see where you’re headed. Free trade as such is rooted in economic theories or theory I should say rather, otherwise known as Comparative Advantage which was first popularized by the Economist David Ricardo. The more products of certain goods a nation produces at less cost, the nation would be better off to export the goods in exchange for goods that are scarce with in the nation. When this is the rudimentary aspect of Free Trade, Economic Integration on the other hand, carries political aspect with it where the classic case-study is the evolution of European Union. As you know, EU as an idea started a few years after World War II, where the victors including the vanquished designed an economic roadmap if you will that could potentially discourage any kind of large scale war from happening ever again whereby the rationale goes, if the nations are economically integrated, they will less likely to resort to war. More over, the intellectual foundation behind it was to blur the boundary of nations with in Europe as narrow nationalism was the main reason that had caused the two World Wars in the first place. Thing is however, for the mandate and mission of the EU to come to fruition, the nations have had institutional capacity to their credit that goes back to a span of four or five centuries, simply because, without institutional capacities no amount of policy can be effective let alone an ambitious economic and political roadmap like the framework of the EU. The same rationale can be applied to Eritrea and Ethiopia including other nations in the Horn. For instance, what we have in Eritrea is Pork-Barrel politics with a rent-seeking predatory state with no institutional capacity what so ever. Ethiopia could be a bit better with a baby-walk institutions with a potential to mature. When this is the stark and crude reality, to talk about lofty and grand ideas is not only immature but misplaced as well. according to ur logic, can ethiopia and djibouti or sudan talk about economic integration? That is the point, no economic and other integration before having rule of low and constitution. Economic integration needs institutions to be based on. You have the answer. For example the EU has economic and other integrations. It has also very strong institutions like EU parliament, Commission, Council of Minsters and EU court of justice , however it is far from perfect and vey corrupt. Imagine the so called economic integration with Ethiopian under the only existing institution in Eritrea (IA), even it can’t run a small dum efficiently. 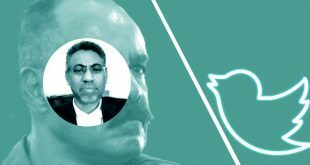 One of our own,Saleh Younis, the prolific writer, expressed his his anger on the despot on relinquishing his authority to an Ethiopian leader. Here is his own words as I quoted from FB. Also, please visit Eritrea digest to to read his latest article “ Ethiopian narrative on Eritrea is back with vengeance”. Eritreans should wake up and understand what the despot is trying to sabotage our sovereignty. You remember what he retorted to his colleagues, that he is going to take us down with him (courtesy Amb. Andebrhan). This the time we should unify our efforts to save our country, leaving aside our differences on how to govern ourselves. It is a matter of urgency. Really, you think my hatred is unarranted>! The thugs have tried everything in their power to kill Eritrea. They created a pretext in Badme, our Badme, to start a war which they believed would give them the opportunity to reverse our independence. They deported 80,000 Eritreans and stole their properties. They tried to capture Assaab and lost over 30,000 lives in the idiotic attempt. They wanted to turn May 24, the most glorious day in our history, into a day of permanent shame when they invaded Eeritrea in May 2000. Over the past 18 year, they have done whatever they could to destroy Eritrea. They have yet to accept the final and binding border delimitation. And now that they have been kicked out of ADDIS, WE ARE SUPPOSED TO FOERGET EVERTYHING AN TREAT THEM AS FRIENDS? No Dottore, it is not my “hatred” that is odd but that there are Eritreans like you who admire these little crooks. I will not say ወዮ ናታስ ንሓማታ and accuse you of being a Tigrayan, I will only say that decent people do not admire crooks, thieves and knaves, Just try to explain to yourself why the Weyane are today the most despised people in the Horn of Africa. Epic take down of a WOYANE sympathizer. And you know what sad is innocent lives are being lost because of shortsighted Woyane planted ethnic politics. As we speak right now they’re dragging their feet, instead of coming out clean and moving on for the next episode, peace and prosperity. All Eritreans ask is to be left alone. If you say so, it’s all good. I don’t know much but I always dream about Eritrea building two super railways with two super tonnels. 1. – The first super railway with a super tunnel would go from Massawa to GindaE, from GindaE to Mensura through super tunnel under the Kebessa highlands, then to Mogolo. From around Mogolo it would splits into two directions – one towards Sawa and Kassalla, and the other towards Tesseney Um-Hajer Humera all the way to Bahir-Dar and beyond. 2. – The second super railway with a super tunnel would go from Massawa to GindaE, from GindaE to May-Ayni/Tserona through a super tunnel, then to the heart of Tigray and beyond. 3. – I think Addis doesn’t need Massawa, if connected with Assab through super highway of trains and commercial vehicles. How about these super projects for the ‘can do people’! What do you say? I think your ideas are good. But have you seen the pictures of Massawa and after the bomding of the governer palace that the whole city is crumbling and decaying. Everytime I see the pictures, I want to cry…even the most famous architecture of Asmra, fiat tagliero asmara is abandoned and decaying. I mean, there are a lot of construction workers in Eritrea, who know how to do (ቶኖኮ) stucco, and Nora, brick layers, and after 27 years there is nothing done to fix then. Which Eritrean “can do people” are we talking about? You characterized the despot correctly: “ነብሱ ምስ ኤርትራ ልቡ ምስ ኢትዮጵያ”. Very true!! A. – Anyone who says today’s Eritrea is in the same or worst shape than it was in 1991 is being dishonest. Not at the pace we wanted it but Eritrea is making a progress. And all things considered, that is worthy of praising the men and women who are building the country from scratch. B. – Eritrea was at war for the past twenty out of twenty seven years – at war with twenty times its own size + Ethiopia getting full support of global powers. That WAR was not cheap by any stretch of the imagination. During those trying years, blaming the PFDJ regime, for not building the the nation is simply dishonest. I agree. All Eritrea needs is PEACE. And the nation will be built one brick at a time like any nation would. The same ‘can do people’ whom you described their talents above. Stop it! Whining and complaining day in and day out is neither a vision nor a catalyst for change. Whining and complaining is not a winning strategy. It never worked for you in the past, and never will work for you in the future. It is a losing game. Impress me by galvanizing the Eritrean public. Show me how you could lead Eritrea better than the current PFDJ regime. Sell your product (vision) to the Eritrean people. If you got none to sell, then…. Of course he has nothing. Not only him but there is major problems with the majority of Africans, No vision!!!! They don’t want to work to make their country like where they are living. They are corrupted by their adaptive countries. So, like Berhe; ask him how to collect welfare he might have an idea but about building a nation? Don’t waste your time. they are good at talking trash. You really are hopelessly optimistic. I don’t ask for 10 things, but I ask you 1 thing that’s better today then it was in 1991. Please do not say, the Ethiopians are not there to bomb the country….. I am talking about after May 1991. I know you got none, none whatsoever, but let me ask you anyway. I’m not going to ask you ten things, but just ONE thing, just ONE as እንኮ. Which political party/organization (from the current existing ones) would’ve led Eritrea better than EPLF/PFDJ? Well, that depends on the will of the people. First let the people have the same freedom and democracy you and your family seem to enjoying. Then we can talk about tunnels, bridges, or political parties. I thought you’ve to have something, I mean something when you’re heading towards “ናይ ህግደፍ ሓመድ ድበ” – or you never thought about it. That something will have to come from the people for better outcome. ንሰውራ Eritrea ዝወለደ ህዝቢ ቀሊል እዩ ነይሩ ካብ መጀመርትኡ ከምዚ ሕጂ መጻወቲ ማንም ከይኮነ. Hi Semere Tesfai. I had actually been in Massawa and Asmara on Friday, May 24, 1991, and during the following weeks, had travelled to most major cities/towns in Eritrea. Are things better now than in 1991? Certainly! Are things better now than in 1998 before the border war? Definitely not! On a separate note, I do not agree with lumping the EPLF (a revolutionary front) with the PFDJ (a political party), for it is a disservice to former EPLF members who were never a part of the PFDJ, many of which were imprisoned. I know they disagree with the PFDJ regime. I know they even hate the PFDJ regime. I know there are a million things one could blame the PFDJ regime. I get all that. What I don’t understand is ‘why do they lie; and stupid lie that’? Like – life under Derg was better than under PFDJ, Eritrea’s infrastructure is worst than what it was in 1991, Ethiopia under Woyane was a democratic country – so democratic they wanted to emulate Woyane ethnic politics with article 39 type politics as an option, national is slavery because it violates peoples freedom ………..
“If you build it, they will come” goes the famous line in “Field of Dreams. Give the Eritrean people a chance, provide them with political platforms, they will do wonders not only in ideas but in a far better ideas than PFDJ. It is a matter of tapping on their unexplored potentials. It is that simple! There are 40+ political organization and still multiplying in the “free world” – all FREE TO MAKE WONDERS. What happen? “….To the people, by the people and for the people…” And it goes on to say, “….We hold these truths to be self evident…” These are powerful words enshrined with in the most powerful document on any land, simply because, they attest that the citizen is the ultimate sovereign. Suppose the Eritrean Constitution upholds the said words with the highest esteem they duly deserve, and the people or the sovereign citizen will have the right to run for the highest office on the land by competing with equals where the ballot box awards the winner. It is that simple! Not ኣብ ስደት፣ let it happen inside Eritrea then you will witness miracles. I promise you! Please, please, please explain to me, how this incompetent worthless good for nothing opposition leaders in ስደት (exile) will do wonders and miracles inside the country if given a chance? Again, I know you are an educated guy, and I know you know what you’re talking about, but how do you know all that – I mean how do you know all these losers we see in exile will sure do wanders at home? 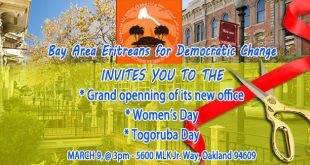 First provide proper platform on ground for other parties and organizations, after that you could say EPLF/PFDJ is better. Who runs alone no one will outrun him. Eritrea: Zombie opposition and Mafia-like rulers. Isn’t this a reflection of the society? What does the future hold for the common citizen? Nations are governed by their elite organized as political party/parties. The political elite who govern their nation are a product of their society. Therefore nations/people get the government they deserve. Simple as that. I see you ducked my question, to prove one thing that is better today in Eritrea since after may 2001. It’s your typical way of running away, next you will say you are busy:). Now to what you asked me, I will make it easy for you. All of them and any of them will have been better. Did you forget, PFDJ and Isayas Afeworki done absolutely nothing in 27 years, except made things worst. So no body could be worst that him and his PFDJ. Is this really hard to beat????? I will be nice to you. EPLF that we knew until 1994 would 1000% better than what it became (PFDJ). Here is its vision from 1990. Berhe: Even if all the things you listed above are true – which most are not- still you don’t have an organization/a political party that is better than the PFDJ regime. You don’t govern/lead your country with leaders you wish to have. You govern/lead your country with the leaders you have. Create a better alternative political party and then we will have a very nice talk. But now, replace PFDJ by whom? ካብ ሓመድ ድበ ናይ ህግደፍ ምስ ተመለስካ ኸ መንዩ ክመርሓካ? I guess you are playing “Hlmi Derho” or you don’t know what it is. First, I told you already any opposition party is 1000% better than PFDJ and IA. Second, what kind of retarded question you are asking me. When the people have all the things that I listed above,then it’s up to the people to chose their leader. And if they are good, the people would bite them again and if they are bad, the people will throw them out. Do you seriesly think and believe that, IA and PFDJ is the best Eritrea can produce? Anta Hagerseb eKa mishAbika? Qurub… please for a moment take time to remember the elders from your tiny village? And be your own judge, if those people would have done worse than PFDJ. Now multiply those from tiny village with 1000 others and you have Eritrea’s best. Be specific: Which opposition party is better than the PFDJ and IA? If your claim is true, how come the Eritrean people are not supporting the opposition in mass? If your claim is true, why the Eritrean opposition are not at the helm of power today? How do you square your claim with the facts on the ground? Something is not right! Litsin: People don’t choose leaders, party bosses do. People don’t lead nations. People don’t lead countries. People don’t articulate, lead, and achieve stated objectives. The political elite of a nation do. CREATING COMPETENT, EFFICIENT, BETTER ALTERNATIVE POLITICAL PARTY IS A PRECONDITION TO BURYING THE PFDJ SYSTEM OF GOVERNING. AND YOU GOT NONE. If people are given a chance, and if people are given choices, yes people could choose between political party candidates/leaders that are chosen to them by their party bosses. Simple as that. 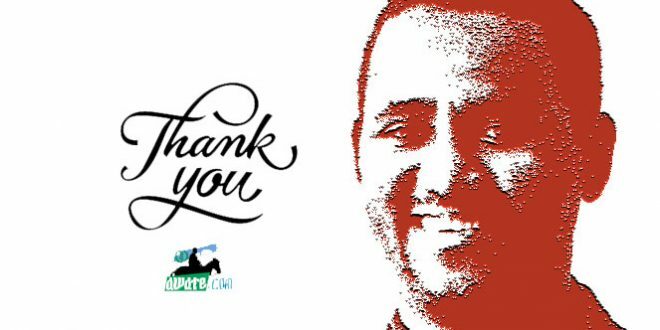 Thank you for engaging and thank you for all the respect. Thanks again. Let me start with the last statement. Do you think the PFDJ and IA can stand a chance to win against those village elite from your village? Be honest. I mean PFDJ that does not have guns. The rest I don’t know what choice the ERITREAN people have to choose the opposition or not. If you are saying, the opposition need to go to meda and raise arm and recruit people and fight and overthrow the regime, then that’s different story. I personally do not think it’s the best way to lead us to democracy and the cost (human and material) is very high. I tend to think the people organized popular revolt is the best way. But because the opposition are not able to galvanize the people to revolt it does not mean the people are supporting IA regime. If you want a specific group, for me personally I would liked to see Haile Durue with his own party and would not hasitate to support him. At the same time, all those ELF affiliated opposition parties I think are much better than PFDJ. ELF, ELF-RC or what ever I don’t know them all. I believe ELF is much more democratic than EPLF ever was, which is probably the reason it got eliminated. Again it’s my chioce, and I am not saying my choice is the better, intimately what ever majority of us choose would be what needs to lead. If the people do chose IA and his PFDJ, I can tell I have no problem with it. Why are u arguing for the sake of it? Do we have any alternative Party to replace the PFDJ ,which can govern Eritrea? The debate is not about whether any opposition is better or not than the PFDJ but about whether we have a better party or not at hand! I will try to engage you seriously because this has become a reoccurring discouraging argument coming from you. Please take my comment for its intention, to try to convince you that your thought process needs refining. It is human instinct to fight injustice. That fight is not conditional on whether we have an alternative or not. Let me bounce the question back to you. Do you agree the PFDJ is an unjust regime? If you do not believe so, we stop here. But if you believe we have an unjust regime ruling Eritrea, the second question is: do we have the right to fight it or not? Finally, do you believe it is the obligation of every citizen to fight a cruel unjust regime? If yes, then we keep fighting. If you think we should stop fighting an unjust regime because we do not have a replacement, then you will see the problem I have with your views. Let me illustrate. If you poke someone’s eye, you will be jailed. If you break someone’s teeth, you will be arrested. Now suppose someone is choking you and you are short on breath. Would you react to free yourself from the choke or you will be asking yourself ‘what if I take out his eyes? Do you have the luxury of analyzing the situation or you react the instinctive human way? We are being chocked and I envy those who have the luxury to philosophize and over analyse the repercussions of fighting the regime. That my friend is lack of resolve and confusion on what needs to be done. Only distant spectators have that luxury. Gaza-strip, with an area that doesn’t go beyond 15 km x 41 km which equals to 360 square kilometers not bigger than Asmara Zone, and population about two million, has manufactured weapons that could frighten their enemies. Her youth didn’t flee to neighbouring countries or their enemy. Though they are under harsh blockade, they feed their people, educate their children and they are to some extent lead a normal life. Another example, the Huthis in Yemen manufactured weapons that could reach more than 1000 km and managed to challenge her strong and very rich neighbours. Your excuses, we were in a war with a country twenty times bigger than us, are an expired and limping excuses. Your ቆምሽ ኣደይ ሓንኪኑሊ excuses is not accepted. Look for other excuses that could be digested if you have any. We have known it all along that it has been “Afa missay Libba mis debesay”. What have we done or should have we done; and as a matter of fact,45 yrs and counting still and what are we doing and should we do? Hi Berhe; you are the first one who declared the ” dictator will never accept the peace call from PMAA. Now you have no shame to change your color just like that. You have no freaking character. You are Fake!!!! There are two periods: Isaias in his hide and Isaias out of his cave. After you differentiate between these two stages, then you could understand why people changed their position. It is good to go along with time. not just he is fake but now days tplfist r working hard to bring together all anti-3A and anti-ethiopia groups of haters under tplf camp, they tried to get the support of olf but failed miserably and olf made a peace deal with the government of 3A. I don’t remember saying that, by please do show me where I said that. But for sure I said that, IA will be happy and over the moon to give Ethiopia, everything they asked and even things they didn’t ask and more without getting back anything in return for Eritrea. I say, you need to get real! We have been intoxicated with this kind of mirage for far too long since September 1st, 1961. And it turned out to be a pipe dream, simply because Eritrea in defiance of the forces of civilization, it is determined to march backward to the stone ages! You need to fix the country first! The basics of state building including governance rooted in popular sovereignty. Then you can knock yourself out with super tunnels. You mean “Eritrean independence” turned out to be a pipe dream. How so? 2. – So……. Dotore! What’s wrong with dreaming big? Aha! I understood now, you were waiting for 28 years with gaped mouth until the masters come from the south and build for you tunnels. The problem is the masters own nothing, they lack everything; they live by donation from the civilized world. The case is of blinds guide each other to the cliff. Truly, you have shown us the dream of slaves. You have the opportunity to join your bosses in one job only: requesting of alms. My friend, train yourself well in ማርያሞ ተሃብኩሞ with sweet voice. I never said Ethiopia will build the tunnels nor did I said Ethiopia or other donors will pay for it. I saId the ‘can do people’ will build it on their own. All Eritrea needs is peace. 2. 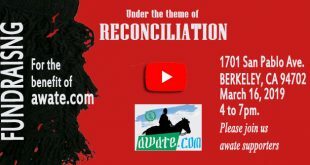 – How do you feel when people here at Awate associate you with Arabs and question your love, your devotion and your commitment for the cause of Eritrea? I suppose you don’t like it. That’s also how I feel when you question my love, my devotion, and my commitment for Eritrea and its people. Thank you. Totally ignoring the people of Eritrea, Dr. Meddamar spoke with the PM of Italy about the plan for a railway from Massawa to Addis Ababa. Forum was debating on this issue and you jumped in and wrote the following which is self-explanatory. Those who poisoned you to confiscate your country, of course if you are an Eritrean, who speak about Arabs. I think, I didn’t conspire to sell you to the Arabs. Eritrea is a sovereign country not for sale to any party. ዘለፋን ጸርፍን ይጽናሓልካ፣ ኣይትታሃወኽ ኣስተውዕል፣ ዘይተጻሕፈ ኣይተምብብ! I said, a pipe dream with in a context. And I wasn’t referring to Eritrean Independence rather about the dreams we harboured starting then about the kind of Eritrea we wanted to have. And that reality turned out to be a pipe dream. As they say, “The bride is pretty but she is taken.” Eritrea is an independent nation and she remains as such! The point is, how do we go from independence to state building? Living in a messed up and unrealistic fantasy or setting a priority? The choice is not complicated. First the fundamentals: As in political institutions, civil liberties and Constitutionalism, then you can talk about super tunnels or super መንቀርቀር or ጻሕሊ! As they say, ነጢርካ ኦክያለ! Get real! bereket and tadese kasa arrested because of corruption. b) was it not the lowland/muslim part who insisted on independence or dichotomy, while the highlanders were for union with ethiopia? c) was it not the muslim lowlanders who started the eritrean revolution? If so, how is it possible to cut this gordian knot, or is it already cut for good, and we should not bother about it anymore? Will there be peace within eritrea, if eritrea joined again ethiopia in one form or other? If eritrean revolution was born in cairo, is it possible to say that there are not the same midwives anymore interested in a new revolution to undermine the region? Can we say that ethio-eritrean relations (especially fed/confed/union) could be peaceful this time, or are we for another adventure? Are we missing the opinion of those whose fathers and grandfathers started the eritrean revolution, so that we will have the full picture of where eritrea is going? Are these different times, with different geopolitical interests, more actors, and a different world situation of tomorrow to dawn upon us, that as long as we cannot avoid it, change it, and influence it, do you think that the two governments are saying, let us join the new world reality by putting our homes in order according to how the movers and shakers want us to do? Does anybody believe that old remedies are useful even today in this 21st century, and they are not toxic, despite their side effects we see before our own eyes? Don’t you think that the patients (both people) are throwing away the defunct remedies prescribed by the elites, and they are adopting new ones, while the elites are dragging their feet. You whirl all day and relapse to the same old profession of creating havoc to neighbors. You revolved a long way to conclude, ” Don’t you think that the patients (both people) are throwing away the defunct remedies prescribed by the elites, and they are adopting new ones, while the elites are dragging their feet.” My friend, all countries around the world are led by their elites or in Ethiopia you are led by junks. From early morning, your intentions are understood, thus your attempt to divide and rule will not work. Eritrean Highlanders were deceived by your Emperor Haile Selase through his agents, the remnants of Alula, the fake Eritreans. Your emperor has done the same you endeavor to engrave in the minds of Eritreans, but there is no way the world has changed, and you are still singing the same old song and playing the same old music. I am sure, at the end of the day you will come back and tell us you have 3000 years of independence and civilization. Eh! independence and civilization has changed its meaning in Ethiopia. Wake up my friend and look around you to know where the world has reached and where you are rotting. GIVE UP HOPE ON ERITREA AND WEAN IT AS YOU WEAN YOUR MOTHER’S BREAST. There are several books you can read if you really want to learn. This is not the right time and place to discuss this issue. It is left for historians. Stop this nonsense. You guys tried for 30 years with the barrel of the gun and failed. Except that you do not want to have anything to do with ethiopia, do you have any plan at all to change the situation. The people have waited for two decades, do you want to condemn them for another two decades? Look, it is said that when you have a problem in a country, like dictatorship, you have three things to do. Either you rise up to change the situation, (that is what ethiopians did), you flee the country or you put up with the regime and even support it out of loyalty. The last two are the things we have been seeing in eritrea over the last two decades. You have got no positive gain out of the last two up to now. You oppose vehemently the things happening between ethiopia and eritrea today, while the people are using the little chance that has come their way lately.. Do you have a plan B, which you may say is a better one, or equally good, or do you want the old status quo so that things return to square one? Don’t get me wrong. I support the peace process and trade between the two countries, including port usage and other economic cooperation. However, talk of economic integration is premature. I don’t know about Ethiopia but Eritrea doesn’t have the necessary institutions for it. As per how to bring change in Eritrea it doesn’t have to follow Ethiopian way. The circumstances are completely different. For example before the change in Ethiopia there was a space for political reform, however little it was. The youth who are the vanguard of change were free to roam around and organise them selves. EPRDF is a reformist organisation and it has played very important role with in itself to bring change. You can call the process as ecdysis as in reptiles. Those condition above are absent in Eritrea. All young people above 16 are absolutely under control of the regime, even the all colleges are run by the military. The regime has no reform culture. It is unfair to compare Eritrean current situation with what was in Ethiopia before the change. Eritrean are fighting a different animal and will bring change sooner or later on their own way. “Bring back (annexe it) [Eritrea] under the disguise of economic integration”. Do you really believe in this assumption? Did ethiopia take over the land, properties, the economy in general, and settled its people from the south in eritrea during the period of annexation, as eritreans call it? More than 90%, if i may say, of the people from the south stationed in eritrea, were those who had to do with the military, due to the security situation, and it was not about economic exploitation of one sort or other. Be sure, the movement of people, as already is, will be from the north to the ethiopian center and beyond, and not the other way round. This means eritrea the land will still be the business of eritreans and not ethiopians, except to a minor degree, even if there is some sort of union. Eritreans will still remain masters of their destiny, unless the ego of some eritreans will suffer damage due to the rapprochement. Especially today, when the regional governments of ethiopia do not succumb to the wishes of the federal government due to devolution of power, entertaining the annexation of another country is out of the question. If we say that economic integration is equivalent to annexation due to the situation in eritrea, more or less the same situation is on the ground in other countries of the horn, who are eligible for economic and political integration. Now, if ethiopia happens to be the center of this integration and there are people who hate it, it is a different story. It happens that pm Abiy was talking about economic, military and social integration of the horn of africa at the Davos conference. At one point, we should spit it out and tell the truth. It is all about the ports (especially assab) that eritreans are worried about. Otherwise ethiopia has nothing to gain by annexing eritrea. On the contrary, it has a lot to pay. Why would ethiopia make the grave mistake of annexing eritrea; only for the sake of the port of assab? As things stand, if ethiopia wants to do damage to the eritrean economy, all she has to do is to continue not to use the ports, as she has done so over the last two decades. Who do you think lost in this saga? Even IA has said that unless the ports are used by ethiopia (especially assab), it is of no use to eritrea. Therefore, we should look at the future and not dwell on the past. You can see how the guy Abiy is absolutely out of touch and clueless when he talked about economic integration in the Horn so much so that he is giving Isaias the legitimacy to rule when the Eritrean people don’t. That is the key factor. As you put it, unless otherwise he is the Trojan horse whose sole interest is a permanent hand on the Red Sea! Ethiopians are not going to repeat the same mantra of ” ኤርትራ ባህርዋ እንጂ ህዝብዋ አያስፍለግንም”. We know that they need the Red Sea. They know that most Eritreans are willing to let them use our ports too. Now, the trend is people-to-people. That is being materialized in Ethiopia how they treat Eritreans now. As far as I am concerned, I am all in for confederation, federation, unity, or sovereignty without the PFDJ juntas as long as any of these will bring peace and economic growth to the region. Very simple. He is making Eritrea a confederate state. Our DIA will still be the Ra’es of Eritrea, as a puppet. On the other hand, any political and economic affairs will be administered through Addis Ababa. Why do you think Dr. PMAA would say that Italy will pay to study the feasibility of railway from Massawa ( Not Mekele or Gondar ) to Addis Ababa. He was given the green light by our DIA. I don’t mind if it benefits Eritreans. It is just odd that it is not coming from our DIA. Politically, it is easier to say Massawa-Addis Ababa railway. The actual plan is really to connect Assab and Addis Ababa directly. Remember, this is in its initial conceptual plan. It is presumed that the two lines will meet at Kombolcha. The Massawa-Addis Ababa line will be for personal use and the Assab-Addis Ababa line will be an industrial one. The tourism industry in and around Massawa will grow, hopefully, if we can maintain the peace deal. The current Eritrean political dynamics is fully dictated by the independent Eritrea proponents (both in the government and in the opposition); I hadn’t seen any political movement on a “unionist” platform. 3) the more retarding inertia and burden of the then Ethiopian government. From mid 1960ies till the end of the cold war, the “unionists in Eritrea” had to take the quadriplegic onslaught from: a) left leaning movements in the a1) hinterland Ethiopia; a2) Baathist & Nasirist movements in the Arab world; a3) the dis-functionality & non synchronization of the Ethiopian imperial government in many aspects; a4) the non forthcoming of the western superpower to jump-start the Eritrean economy in any meaningful way. By the early 1960ies–with the then vigorous and robust communist block economic growth (on the global stage), the unionists lost every opportunity to revive their economy and take any initiative once and for all. Once that opportunity had gone, and combined with the profound negative impact of Suez canal closure on Eritrean economy (in the early 1970ies), the “fact on the ground” for the second Eritrean revolution (fighting for full independence) was fully in place. Inherently and seen from the local perspective, the Eritrean liberation war should have been avoidable altogether–and still the independence of the country (from Ethiopia) causaly possible. As we know it today, the honest and genuine desire of Eritrean people for statehood, freedom and rule of law became convoluted in the 1) global east west cold war, and 2) the desire of the west in securing the unhindered ksa oil-flow to the west at large. I) in the first Eritrean revolution–the abolition of Italian colonial power in Eritrea–the whole process was primarily driven by global factor (WWII allied forces against the Italian-German-imperial japan). Ii) A close observation of that time shows, the foreign investment was stagnating/declining with the end of Italian horn of Africa project. Over 50 thousand (if not mistaken) Eritrean lost their job due to the abolition of the para-Italian army, that without any meaningful compensation. That era was like 25 to thirty yeas prior to mid 1960ies–where the second Eritrean revolution was born. Iii) the second Eritrean revolution entailed a protracted war of over three decades. That war manifested itself primarily as a war of independence against Ethiopian occupying army. This one was also primarily driven by the east-west conflict. Iv) coming to the era of complete Eritrean independence, de-facto from 1991, a lot happened. But inherently the current Eritrean decision makers of Eritrea faced very similar socioeconomic challenge like those in the first Eritrean revolution: war shattered economy; no investment on any infrastructure for over five decades; zero foreign direct investment for over five decades; substantial war displaced people; several century old subsistence agricultural economy of the majority of citizens and much more challenges. a) time line wise, like the first one, independent Eritrea is also around three decades old. Not so easy to pick out the relevant economic factors but: unusual macro/ micro economy on the ground; job market characterized by unhealthy and noncompetitive payments; no far reaching infrastructure investment; no political opening for non pfdj actors; no versatile direct investment on the horizon. b) Further the war of liberation created one major unintended by product. That is the introduction and entrenchment of Gestapo-created & STASI/KGB refined form of police government; singular monolithic political order suffocating every other possibility of free thinking–political or otherwise. this is a monumental altlast. In both revolutions the leaders and their policies tend to dwell on the “past times”, a sort of nostalgia. In contemporary Eritrea, there is no political platform or party with clear outlining where to steer the country tomorrow; no blue-print how to coexist with the neighbors and global/regional powers. Hence Amanuel H is complaining why PMAAA is skirting so close on Eritrean/Ethiopian issues single-handedly. Wherever there is a war economies and societies are severely affected, that is understood by everyone. This doesn’t mean that peoples are void of everything. Eritrea is one of the rare countries that had more than five political parties and free press in the forties of last century. We knew rallies, elections, constitution, addressing UN and the world in the same period. The problem of Eritrea is the devils that dwell South of Eritrea. What is it all about the peace agreement between Asmara and Addis Ababa? Have anybody notice the similarities between the UN General Assembly 390(V) of December 2, 1950 that made the Italian colony Eritrea to be federated with Ethiopia and the infamous peace agreement of July 9, 2018 and subsequent agreements between the two countries? That will give you some details of the agreement that seem for most of us not detailed enough. Back to square one? I will leave this topic to the people with the knowhow to compare and contrast for us. 1. We are the only East African nation with a constitution ! 2. We are the only East African nation with free press! N/B. Federation? You must be kidding. I know you are not somewhat a con-federalist or federalist like me; nevertheless, I conquer with your responses above. George is your typical sycophant of the regime. It is because of people like him that want Eritrea just for themselves. Eritrea will be, to what extent I can’t tell you exactly, conjoined with Ethiopia. Remember what our DIA has been saying? We haven’t lost anything! We are one people! Border is not the issue! What makes no sense to you makes perfect sence to a Thugrayan. How else will they survive in the hostile Ethiopia from which they cannot disengage? Don’t worry too much about their wet dreams! The Massawa-ddis railway makes sense for Eritrea if and only if it goes through Tessenei UmHajer and then on to Ethiopia. From Tessenei, it is only 60 kms to kessella. Isee absolutelyno reason to have a railway that goes thru Tigray., Adirt poor land that has nothing to offer to Eritrea. thru Humera onto the rich and heavily populatedaMHARA LANDS IS WHAT WE NEED. tHE LESS CONTACT WE HAVE WITH THE tIGRAYANS, the better we are. Never trust them! Why do I have the feeling that you could as well be a Tigrean yourself. There is no rationale to your unwarranted hate unless otherwise you are engaged in what the experts say, “Immature Defense Mechanism.” I suggest, you learn to have respect for yourself and your roots as well. Whether we like it or not, we have to get along with the people of Tigray. They are the closest neighbors we have, both in history and culture. It is time to move on from the shackles of the TPLF and EPLF drama. Back to the topic again: demonstrations in the Sudan – what triggered it the cost of bread! But it is not about the Sudan that I would like to talk about , it is about our country , Eritrea. When did we see the last demonstration in Eritrea? Well the answers are 1) the regime harshly is punishes demonstrators. Many of those who demonstrated , including school children aged 14 are in the prison as I write this comment. I have always said unless our movement are national, their outcome will be poor. The school demonstration must be seen as people’s right to what they want to learn, wear and practice in their school. Also their case must be seen by court not by squad who arrest and shoot. They should have a trial and lawyers who defend their case and then the court rules. Although the feedback in diaspora was huge a few have also tried to see the demonstration only in their religious perspective. Like the regime distorted it, they did the same and this because of their narrow minds and detachment from Eritrea and its people . If Johva wittness demonstrated I will support them not because I am a witness but because I am Eritrean who believes that people must have right to express them selves and they together with the regime must go to court to solve the issue. Why I am saying the above is not to remind you about the 31/10/17 demonstration ( even though we have to raise the question of those who are languishing in prisons without trial because they participated in the demonstrations) but because I want to draw a paralel line with what is happening now in the Sudan. The regime in the Sudan is now saying the leftist are to blame for the current demonstrations …you can see my point ,,,,dictatorial regimes will always use sectarian discourse to stop people’s uprisings …like the regime in Asmara did after the 31/10/201 demonstration. I think because we see demonstration as a given in other parts of the world / countries we are assuming many things in my opinion. What we have to consider is, there are other countries who are in similar situations as us, for example, North Korea, China to some degree, Lybia during gaddafi, Cuba, the former Soviet Union and evenEthiopia under Derg. So I think it has to do with the type of brutal government we have assuppose to our people. And I think those of us who have the ability to think, discuss, research how others in our situation have done it, and perhaps we can search ways to do it for our own. It seems that most of us spend a great deal of time diagnosing the disease but not much on finding a solution. Thanks for the comment …lesson learned in this regard was our people to be more aware about the regime which uses all the tools, including divide and rule to silence them. Teaching that, will be considered as a solution. Don’t you think like that? Well stated. Although, the case could have been settled in court as you have mentioned it above, we don’t have legitimate court systems to adjudicate that kind of case. The Akhriya revolt was one of the missed opportunities for the Eritrean population to rise up and join them. Sudan, as if it doesn’t exist? Is Sudanese politics that boring or we don’t care about the Sudanese people? Ethiopian politics seems to be more interesting, as usual. Or, subconsciously, ‘ተደምረናል’? Remember who is the security chief of albeshir at this time , if you don’t know ask or go back open many files . What is the term when you faile to apply standards of rational evaluation that one is aware of, usually in a self-serving fashion. If one judges others more critically than oneself, that is intellectually dishonest. If one deflects criticism of a friend or ally simply because they are a friend or ally pls help me get the term , YG use such method when he criticizes our revolution as “ unnecessary “. I need the term .Many people in Sudan are crowned for change but still no voice in our side . What can I say . Infact Sudanese politics is not boring, it is quite entertaining . I am not sure about Sudanese politics, but I love their music…indeed entertaining. Obviously, we are historically, culturally, and linguistically among other things linked with Ethiopia so much so that it was against Ethiopia that we fought for independence. I don’t see any reason that we should be “obsessing” about Sudan as much as we are about Ethiopia. I think the only reason we are obsessed with Ethiopia and their politics is, because they are still against the aspiration of the Eritrean people. Otherwise our people are culturally and historically related with the two neighborly countries, albeit, we are divided by their influence on us. This is a grey area to say the least where euphemism is in order. Our relationship with Sudan was more of a strategic that goes as far back as the 60s which is really not that long whereas with Ethiopia, one can safely say that, our relationship with Ethiopia spans as old as the nation itself. If we are to be pedantic in scope, we might as well say the same thing about Djibouti because of Afars as much as we apply the same logic about Sudan. Ethiopia is close to us in every conceivable measure in comparison to either Sudan or Djibouti or any other nation in the Horn. You are right we are related in a political strategy with Sudan since our armed struggle. But our lowlanders are more related in “histo-culturally” with Sudan than with Ethiopia. I had the same understanding like you until I joined our armed struggle that helped me to know our social groups, their histo-cultural relationships, and their individual aspirations with in the contest of our collective aspiration. I was a strong opposer for “Arabic” as one of the “co-official languages” of Eritrea, until I know the preference of our Muslim Eritreans was/is Arabic than their native languages. So you are arguing from the optics of the highlander Christians. So we must be careful on our history, our make ups, and the way we frame our history and our politics. Just think for a moment, our politics is inherently divided along those lines. Are the Lowlands in Eritrea ethnically related with Sudan? Yes, the Beja people with Eastern Sudan and I think the Sahelean Tigriats with the South Eastern Sudan. Where is SGJ he can help us on this issue? Or anyone who is related to these social groups. I think Paulos’s question was not ‘social groupically’-related. He said ethnically related. Why are you getting allergic to the word ethnic? ዋላ ትንፈር እንበር፡ ጤል እያ፡ ዝኾነ ይመስል እዚ ነገር! I will volunteer an answer. Yes. Most of the border groups are ethnically related. There is an Arabic saying: qelTet al Aaqil b’mya! Someone else makes a mistake, it’s one unit; you make a mistake it’s 100 units. So, be careful of the debt 🙂 Earlier you expected someone to roll their eyes, I did, and my eyes are still rolled. The whole cross border relations is based on geography. The central highlands extend south, therefore, closer affinity to the south. The northern highlands (Sahil) extends north and north-west, therefore, closer affinity to the Port Sudan, the Hedareb, and mainly the Habab that straddle the border area. The Western lowlands, Beni Amer, Marya, and other tribes and clans, have more affinity to Eastern Sudan. The same goes to the Danakil who have a closer affinity to the Afar of Djibouti and Ethiopia. But why do Eritreans have a different perception of their cross border relations? The most accentuated relation has been the Abyssinian relations because it was the most aggressive element throughout history. All the conflicts, rivalry, conspiracy, etc have their source in that relation. Furthermore, that is where the seat of the feudal rulers was and the source of occupations and enslavement campaigns. In short, it is so accentuated and always on your face. I am sure many Abyssinians never heard about the Funj dynasty that ruled most of Western Eritrea and Sudan, or the Baqlin and other kingdoms of Northern and Western Eritrea that were ruled together with Eastern Sudan. In modern times, long before Eritrea was created, the area from Kassala (Sennar) to Semhar (Massawa) was called the Taka region and its ruler, Muzinger ruled it on behalf of Mohammed Ali of Egypt. The first ever telegraph line stretched from Massawa to Kassala and it was built by Muzinger who also built the palace in Massawa (which is wrongly attributed to Haile Sellasie). Were “the Funj dynasty” and “Baqlin and other kingdoms” older than Abyssinian Axum? I suspect that the “the Funj dynasty” and “Baqlin and other kingdoms” being Islamic kingdoms, must have come into being after the decline of Axum. As you mentioned, some time around the 6th century there was a conflict between ethnic Arabs whose religion was Jewish and ethnic Arabs whose religion was Christian, in Najran, Himyar/Yemen. By the way, the Jewish king Dhu Nuwas [Yusuf] has a street named after him in Israel/Jerusalem. Do I hear you say, drop and do fifty push ups, 25 for total ignorance and another 25 for more ignorance? That is harsh but I accept. But most importantly, many thanks for the great lesson and hopefully one day you will put it into a book form so that others will be spared from doing back breaking push-ups. Very informative. This is why, I think, borders are sometimes obstacles. Ahm! Borders are obstacles? ?what is next? Before we contemplate about Pan-Africanism, the states that will constitute in that project must be stable to form that big umbrella. Dr Paulos, “objective reality” dictates for anything we dream big thing. To create the objective reality for it, there are many prerequisites to mature on the ground for it. One of them is to eliminate the arrogance and parochial thinking of the elites of the African states. African leaders who could not manage “their own state affairs”, could not be candidates to run such grandiose idea. Let me give you an example close to our home. Dr Abiy who is unable to stabilize his own country, is preaching “economic and political integration” with the countries in the Horn that have intractable problems in themselves. Don’t you see him as one of the bogus African leaders. He is not a politician by any measure to solve problems, let alone with the Horn of African even with his own state the “the Oromia State.” If Africa is replete of such kind of leaderships throughout the continent, how is it possible, one to even think about Pan-Africanism? Before we contemplate about Pan-Africanism, the states that will constitute in that project must be stable to form that big umbrella. Dr Paulos, “objective reality” dictates for anything we dream big thing. To create the objective reality for it, there are many prerequisites to mature on the ground for it. One of them is to eliminate the arrogance and parochial thinking of the elites of the African states. African leaders who could not manage “their own state affairs”, could not be candidates to run such grandiose idea. Let me give you an example close to our home. Dr Abiy who is unable to stabilize his own country, is preaching “economic and political integration” with the countries in the Horn that have intractable problems in themselves. Don’t you see him as one of the bogus African leaders. He is not a politician by any measure to solve problems, let alone with the Horn of African, even with his own state “the Oromia State.” If Africa is replete of such kind of leaderships throughout the continent, how is it possible, one to even think about Pan-Africanism? Yes, u can’t think about pan-africanism because u r narrow minded tribalist, narrow minded people like u r the problem for the stability of africa and pan-africanism, and to materialize pan-africanism, africa needs to be stabilized and in order to stabilize africa, narrow tribalism has to be defeated. I guess your comment was meant to be for Acria instead but….. I don’t even know what Pan-Africanism is, to be honest with you. It feels like one of those mouthful and fashionable catchwords which fly around pretending to be weighty. As the late German Chancellor Helmut Kohl put it, “If you have a vision, you should see a doctor.” Of course, he wasn’t trying to put people down, he was trying to get the message of being realistic across the board instead. Certainly, one can make the argument that, the fallacy with in the framework of Pan-Africanism is not with in its lofty stand, rather with in the micro-anatomy of the modern African state instead. Samuel Huntington talked more about the “Third Wave” when the erstwhile colonized nations got their freedom in the 60s and had to chart ways in which path to follow. Milton Friedman, for instance obsessively pressed for the three “D”s as in deregulation, deregulation and deregulation before state building including for the recently freed African states without putting into consideration the indigenous values, tradition, culture and local laws and customs as well where he later on had to retract his recommendation when Huntington emphasized on the Third Wave which is a hybrid of the traditional state and a state based on Western political theories. The challenge then became so clear for the new African leaders as in Nkhruma and Senghor among others on how to keep the balance between two realities in state building. And it was their inability to balance the two which resulted in the total failure of the new post-independence modern African state. Of interest, the much celebrated Chinua Achebe’s novel, “Things Fall Apart” narrates the dilemma of the African state which can not abort itself from its traditional past as it tried to find its place with in the new emerging world. Sorry Doctore. I corrected it. It is unfortunately almost dogma to ascribe some elevated or special levels of meanness or cruelty or whatnot to a particular branch of “Abyssinians” or to them all at once. Can I posit perhaps a different more reasonable factor? Simply, the highlands typically sustained a larger populations. Most were engaged in settled agriculture. Settled agriculture does not successfully exist without enduring political institutions and hence feudalism when the possession of land is the ultimate prize. The ruggedness of the terrain created more units of political adminstration, taxes and also by definition more players involved in political competitions. A question to ask is, prior to the advent of modern medicine and public health (vaccination, clean water, basic heath services), was there a difference in the population between highland Eritrea and lowland Eritrea? If one is to extrapolate from the difference in population between Ethiopia and any one of its neighbors, one is unquestioningly led to face the reality of the mountainous geography supporting higher population growth and hence higher absolute population numbers. And with larger populations come more political competition – simple as that. It is not a case of the perfidious Abyssinian north or south of the Mereb. I have no argument against what you wrote. In fact I could add twich as much reasons for why it is the way it is. It is always a pleasure and exciting to see you back. What you just said is good stuff. I am beat but tomorrow, God willing, will try to say a thing or two. Aya Saleh seems to say that, the history of Abyssinia is a history of violence. Violence warped in conquest and rivalry and I am not sure if he was trying to contrast the much more eventful Abyssinia with the more subdued Lowlands. If I have read him right, I get the impression that, geography might have played in shaping up the proclivity for aggression. Or is it? If that is in fact the case, it can not be the rule of thumb so to speak for “his theory” doesn’t seem to replicate in regions of similar geographic settings—similar with the Eritrean Lowlands. What I have in mind is the Euroasian-belt otherwise known as the Steppe Nations as in Mongolia, Turkmenistan, Kazakhstan that stretches all the way to Central Europe in which, as the name suggests, the area is flat grassland with no mountain range what so ever till one comes across to the Ural mountains to the North and the Caucasus that stretches West-East from Central Europe. The unique geographical landscape as in flatness not only gave Europe its language as in the spread of Indo-European languages but later on became the genesis of international trade on land trade—Silk trade. And it was there that horse got domesticated as the inhabitants became famous in horse riding and made it easy for the Mongols in particular to become conquerors—Russia to the North and China to the South. As such, the history of Euroasia became the history of violence precisely because of its geography among other things. That is to say that, the Abyssinian mountains should have made the Abyssinians less ambitious and less aggressive if geography was the case. It could have been other factor where historians point out that, Menilik, for instance, thought of himself as a Caucasian not only to stand on the same pedestal with the European powers in aquiring more colonies but in owning slaves as well. I am afraid we might be making this a court case. If we keep it simple, we can understand each other better, I think. Comparing our situation with Mongolia or other places doesn’t add anything to the facts that we know. It might be similar to other experiences for the world but that is not our topic (comparative analysis) Let’s just refer to what we know first hand including the not distant history of the region. That is where I am focusing because the factors affecting developments in other regions might not be the same to us. To that end, let’s see the history of our region starting from Tedros. If we go further, we might meet Gragn and his Abyssinian nemesis. Now take note how that history is narrated in the Abyssinian psyche: Gragn as an aggressor and the other kings as defenders of their land! If we go back a little, we will discover the kings were aggressors and Gragn was just vindicating his people. At best, that would be narrated as an Abyssinian internecine war, a civil war, but that is not how it is narrated–Gragn invaded Abyssinia and he is portrayed as a foreign invader. Gragn has the Turks on his side, but the fact that the Portuguese were motivated by religious reasons is downplayed. In short, Abyssinian feudal lords have always been aggressors and invaders and that is how modern Ethiopia was formed. And you know where that all settled: a Christian Island running to the mountains and closing on itself, isolated for centuries. Imagine the only places of enlightenment, trade and openness to the world were just Harar and Massawa (including Dankalia) duue to their proximity to the sea and connections with the outer world. We see it also renewed now. Some Derg and Janhoi remnants are at it again displaying their aggressive behaviour, as if saying “we will not have a normal relation unless we subjugate you and take over your territories.” They have shed off all decency and peaceful overtures. So, that is why I am not surprised. I am just hoping that we appraise the history and stop romanticising invasions and aggression. I am a firm believer that the quest of Eritreans is to be left alone without fear and as far as the ports are concerned, I do not see in them any benefit if they will not serve Ethiopia and beyond. That should solve it. One final note: we have always been struggling to reclaim the rights of a citizen because we always lived as subjects and we detest it, as any Eritrean agrees. Our reactions have always been to assert our citizen-rights, nothing more. And the aggression has stood on the way throughout history. Certainly, we need to focus on what we know but to make the argument objective, we need as you put it comparative take to back up the the point we are trying to make. As I see it, there is nothing unique about the Abyssinian lords or Kings whose modus operandi was aggression as world history is the history of violence, particularly during the early formation of nations as we know them today. As you know, war has always been the main ingredient in state formation. More over, religion played a major factor where it was the single most important institution next to the monarch where the legitimacy of the latter based on the former’s sanction. As such, the Ethiopian emperors had to fend off Gragne for instance, not only to protect their fiefdom but to protect the very institution that guarantees their divine legitimacy to rule as well. The Umayads in the 8th Century invaded Southern Europe for the same reason till they were stopped in Austria. We can say the same thing about the Ottomans. But to appreciate how much religion played in state formation, the Thirty Years war between the Catholics and Protestants can not be any clearer. This is to say that, Tewodros or other Emperors after him understood statecraft with in the eyes of safeguarding faith and keeping at bay any faith that stands in a sharp contrast to theirs. In fact, as you know, Tewodros during the Crimean war in the 1850s was disillusioned when UK and France sided with the Ottomans against Russia for purely strategic reasons where commonality in faith was eclipsed by Realpolitik. u believe lowland eritreans r more related to sudan than ethiopia(abbissnia, tigrai is part of it) and u also believe there r two divided social groups in eritrea, lowlanders(related to sudan)and highlanders(related to tigrai) and u r a big fan of tplf ethnic ideology, that tells everything about ur eritreanizem. Go and engage with your peers. You don’t have the capacity to comprehend to what we are discussing. Where did you read the highland and the lowland are social groups? U said it urself, christian highlanders, muslim lowlanders. Sorry Moderator but I didn’t question his identity based on arguments i do not agree. i did question his eritreanizem based on his own words, based on his own argument, if he says, he doesn’t believe what he said about lowlanders and highlanders and if he is not a big fan of tplf, let me know? Which school thought you this? I was just wondering we always digress from the subject matter, in this case the Sudan uprising, and always talk about Ethiopia instead. Personally, I haven’t been to Sudan so it would be unwise to say too much about the Sudanese people. In any case, I am with the people of Sudan for their fight for justice. I believe the Sudanese people did more for Eritreans than any other neighbors. I have an aunt who is married to a Sudanese and she has been living there for over 50 years now. I have been to Khartoum on a visit to her. I agree, they have always been good particularly to us. The reason I said, it could have been strategic is that, Sudanese leaders may have changed their stand when they were in good terms with Mengistu, for instance. Ture. That is why we should always stand with the people of our neighboring countries not with the leaders, generally speaking. Hi Acria; let me help you see the future. Ethiopia is the largest country in the world without ports. Having two ports and serving the exploding Ethiopian population is a blessing for Eritreans. The opportunity and the future are incredible. There is no doubt the economic interest between Eritrea and Ethiopia is joined at hip. Eritrea is at launching pad, ready to take off. We couldn’t care less whether a railway or a supersonic flight for that matter is in the offing from Massawa to Addis for the language Abiy used during the press conference seems to give the impression that something is amiss with respect to Eritrean sovereignty. No? መርዓዊ ከይሓዛ ዓርኪ ሓዛ ድዩ ዝባሃል? When Isaias said to Abiy about the de facto Foreign Minister from now on, I actually said to myself ወዲ ኣፌ ጨሪማ’ላ መለት’ዩ፣ It looks like the guy was ice serious about it. We are bummed to say the least. 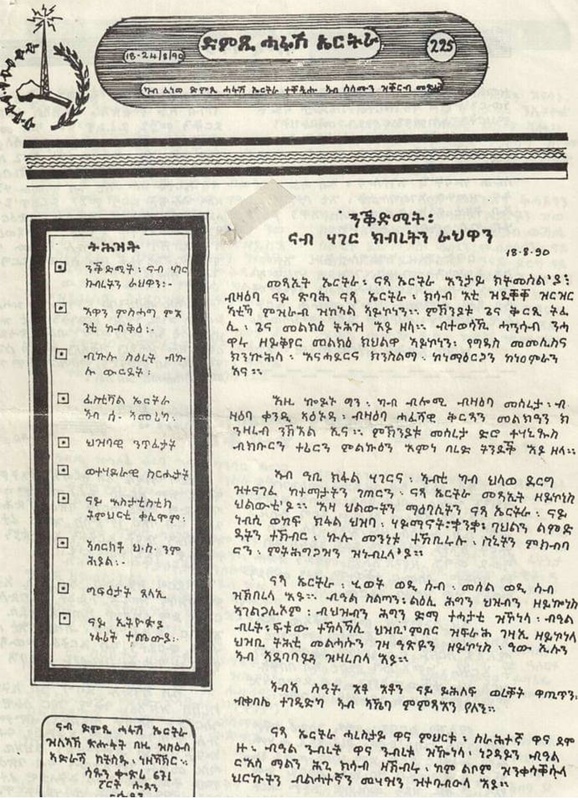 ኣጆኻ ድሓን ናይ ሳንያ ጫርማ ኣበይ ከየብጽሓ. That is so funny. 😂😂😂. You reminded me of this guy we used to call ቆሎ because he sold ቆሎ around ፖቸፊላ and ጁንዮር ክለብ but the guy was naturally gifted not only in getting along with everyone of different affluence and what not but he was also the master of ቢልያርዶ including ጆቶነ or ካልቾፓሊና and ቴብልቴንስ፣ More over, he would conjure up a new word pretty much every day a hybrid of some sort of Arabic and Italian. I wonder where he is. Hope he is well. 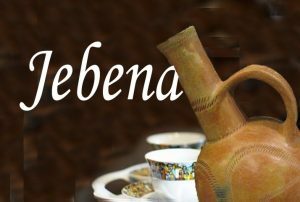 What is “ምኽራብ”? Do you mean “ምኽናብ”. What is “ነዊማ” and “ምኽዋፍ”? Is this a corrupted words from Arabic language? Abi Seb is probably still snoozing. The corrupted words as you have aptly put it were some sort of memes back in the days where one would be peer pressured to use them between sentences if one was to be taken for Asmarino. I am a bit behind with ምንዋም፣ Not sure what it means but I would think, it could mean to sleep? ትሕሾ ዳኣ! ድቃስ ዝባሃል የለን ዳሸቀልኩ እየ….ሰለስተ ማዓልቲ ዕረፍቲ ደቦሌሳ ገይሩለይ ኣጀሌዩምዶ ክኸይድ እንዳበልኩ እየ. እዚ መድረኽ ዓወተ መምሃሪ ጥዑይ ቋንቋ እንተገበርናዮ አይምሓሸን? አይመስለኩምን? ፖል፡ ንምዃኑ ለማናይ ንምንታይ እዩ ቅድሚ ደርሆ-ነቆ ኣንጊሁ ቀልቀል ዝወጽእ? ክንደይ ከምዝበልዐ ካይግመት ድኡ ወይስ ንምልማን ጊዜ ንኸይቀትል? I knew you were going to pick on that ha ha. The reason being, I would assume, the fact that ለመንቲ are generally homeless, ኣብ ጥርሑ ጎልጎል እዮም ቀልቀል ዝወጹ and they would rather do it before the Sun rises when everyone is still asleep so that nobody would see them. ስማዕስኪ፡ ንስኻ ኮምብሽታቶ ስለዝተቐመጥካ እምበር፡ እዞም ከምዚ ኸማይ፡ ኣብ ፈቐድኡ ናህና DNA ኣይስኣንን እዩ። ኣኽርያን ዕዳጋ ሓሙስን ዝነበርና ኣብ ጎልጎል ኢና ለሚድና ኔርና። ገጀረት ኬድናውን ሕልፍ ሕልፍ ኢልና ባርኮ (parco ጎኒ expo) ከነጽንዕ እንዳኸድና ኣይገደፍናን። ኣሰርና ኣብ ኩሉ እያ ትርከብ። እስኪ ንዓ ተናሳሕ፡ ፍሽፍሽ እንዳበለካ ኣፋዂስካ ኣይትፈልጥን? Here is the flip side of the story though. As you know, 60% by weight of the human feces is bacteria. And you should be proud for contributing dead but catalyst bacteria to the otherwise arid soil particularly in Gejeret that had turned it into humus. Hi All; the other day I tried to show the foolishness of the Ethiopian government regarding the new refugee law in Ethiopia. problems starts with Gambella. In Gambella there are more refugee than the locals. I don’t think the Ethiopian government did any study. they just passed it to lure the Lazy Eritreans and to make happy the Europeans. ” Gambella, in western Ethiopia, hosts about 500,000 refugees from South Sudan. “The law that gives equal rights to refugees in Gambella, who are way more than the actual residents in the region, was approved by the Parliament without the consent of a single representative of Gambella,” Miru said while also commending the good intention of the Ethiopian government in helping refugees in the country. Gambella refugee problem gose back to derg time. since “splm” started operating in gambella. and the new law don’t give the refugees equal rights like the citizens, it just gave full rights according the UN refugee convention. This “refugee integration law is at least five years in the making, if not more. The key question one have to ask is: will this law hurt, or benefit the citizens? And the answer is it helps the economy in every thinkable aspect. Helps greatly the local community and economy. Nitricc, please mention few disadvantages of this new law…. What do you think of the plan to build a railway line connecting the port of Massawa with Addis Ababa? The italian government has promised to cover the expenses for the study. It was a statement by pm Abiy after meeting the italian pm. How do you see it? Is it part of the “our ports” saga, or is it about integrating the two economies, a major plan by the two countries? So the question is what would be a rail road be used for, when there is one already between Djibouti and Addis?? May be between Assab and some;where to join the existing rail road so Ethiopia can utilize both ports make sense to me. I think any plan that brings economic relief to both countries is welcome. The problem is, Eritreans have no say. I really do not like the whole integration, federation, co-federation unity discussion etc. When are we going to learn that our people need to live in peace…without the whole war, conflict, boarder etc..
From Eritrean people point of view, we have never breathed a free air for hundreds of years that we decide what for our own. Our people faith had been, born grow up and either in exile or die in some sort of war. How many things can one leader achieve in a life time….If Abiy achieved peace with Isayas, that’s a good thing and let Eritreans also get some sort of relief to live in peace in our country. I don’t think the conditions of the annexation of Eritrea in 1961 was worst than what is today..but that miscalculation lasted 30 years of agony and hardship for both people (but Eritrea more so directly). Ato Berhe; why are you panicking? Don’t forget Eritrea is a nation that have flag, recognized by the UN and brave people ready to die for their country. So, there is no need for panic and distribution of baseless fear. Eritrean ports are worthless with out Ethiopia using it. Nothing wrong if there is LEGAL economic integration? Refer to what AMB Estifanos twitted. “Djibouti is fearful of being accused of generating fresh tensions between Ethiopia and Eritrea. According to a memo that the Djiboutian embassy in Addis Ababa sent to the Service de la documentation et de la securite (SDS) and which the Indian Ocean Newsletter has seen, the Djiboutian authorities are closely monitoring the diplomatic and military repercussions of the assassination attempt against the Eritrean general Sebhat Ephrem on 24 December. Rumours are circulating that the TPLF (Tigray People’s Liberation Front) was behind the attempt on the life of the general, a high-ranking figure in the Eritrean People’s Liberation Front (EPLF) in which he has served as a commander, as defence minister and as minister for energy and mining.”..
UN intervenes when a certain country utilizes force to swallow another sovereign nation, but when a president who represents a country hands over to another country through agreements, then the UN can’t intervene to save the country. You have an example North and South Yemen. If we go back to our history, Haile Selase dissolved the federation sponsored by the UN without the consent of the people of Eritrea and the UN. In case of the intervention of UN, you have Iraq and Kuwait. The fear is real, Mr. Nitricc. What choice do the Eritreans people have? There is a saying in Amharic: ‘ያላዩት ኣገር ኣይናፍቅም’, that is, as you have mentioned it above, Eritreans haven’t tested any democracy, they can’t seek what they never had before. Moreover, because of the divisions, ናይ ሃይማኖት፣ ናይ ዐልየት፣ ናይ ኣውራጃ፣ ናይ ፖሊቲካ፣ ወዘተረፈ, that exist amongst the Eritrean people, it is very difficult for the Eritrean people to say and do anything. Therefore, for the average Eritrean, especially the youth, exile becomes the only solution. Federation, confederation, or unity, is another escape mechanism that is potentially expected to bring some relief to the abysmal lives of the Eritreans. It is a sad scenario: the result of the unhinged dictatorial administration of our DIA supported by his sycophants. We, the people of the diaspora, on the other hand, were spoon-fed with democracy and we know how to fight for it. Nevertheless, we can’t make any significant change without personally partaking our knowledge INTO Eritrea. Hence, change is coming, not the way, we the diaspora, like it. I hope the change is to keep Eritrea as is without the DIA and his gangs. Otherwise, the notion of federation, confederation, or unity will be attractive from what we have right now. Division is not new to Eritreans in fact it was worse under emperor HS, but it didn’t take a miracle for Eritreans to come together and claim their country. The current situation is not different either the dictator is exposing his true colors it is just a matter of time before Eritreans take their matter into their own hand. I hope the people of Eritrea can rise up and get rid of our DIA and his juntas. The current situation is, sadly , very different. The dreams of our youth these days is how to get out of the country to seek freedom. The youth of the liberation years were occupied with how to join the ‘Tegadelti’ and liberate the country. I wouldn’t despair given the fact that we came out victorious despite complete occupation and Eritreans fleeing to Sudan in droves. Don’t you think removing the dictator requires less sacrifice than driving the whole Ethiopian army supported by big powers. እታ ሓምሓም ትሓቁን እያ ዘላ ኣይተሰብረትን. I am sorry but I am not ready to surrender. And at the same time, all this hopeless comments doesn’t not help. I encourage you to listen Steve Jobs video “secrets of life”, just couple of minutes long about “life”. Let’s not lose sight that IA was a typical skunis who took advantage of ERITREAN people aspirations. I do understand how hopeless my comments might seem at times. The moment we stop thinking or cover what is really happening in Eritrea, at all angles possible, is the moment we give up. We ought to face the Eritrean dilemma in all its facets before the next step of democratic transition. Well looking out problem from angles and looking at finding solution is one thing. But telling us (slavery) is our faith and there is nothing we can is something else. BTW, you are wrong when you said, we never tested democracy before, yes we have and yes we did. Read “Weldeab Woldemariam book and Alemseghed Tesfay book”, because I only read Tigrinya but equally other books in Arabic. The democracy I am talking about it experienced one in its full form, not the one that is written in a book. What I know is the Italian colonization, the British administration, the Hailesselassie forced unionization, the Derg armistice, the Weyane and Sha’ebia saga, and the DIA junta. When did we ever get a relief of peace and democracy??? Real democracy? I don’t believe we are cursed to be in misery for the rest of our lives. Just think about what you saying …. what’s so hard to do ? Fighting Ethiopia and getting our independence or fighting a dictatorial regime (who is one breath away) and replace it with New Democratic government? It was a start and we would have build on it and refine it in the process but it was short lived. Tell me one county that’s born with democracy? May be Athens but no body else…, they have to build it themselves , o can we. In our history we have the same pages, but we didn’t surrender. To be weak doesn’t mean you are dead. The people of Eritrea are still alive and definitely will create very hard time for any transgression towards their sovereignty. At present our alternatives are many than in the past. We could assault our enemies in front of the international community very hard. Our diaspora could play a major role in any attack towards our beloved country. I hope, Ethiopia to refrain from any kind of aggression towards Eritrea, because the reaction will very sever and fatal. Ethiopia is not coming for us for war this time. They are using their sweet talk of love to bring the two people together, mainly for their own benefit. The average Eritreans back home are so desperate to breath fresh air that they are willing to accept the ‘Medemer ‘ mantra. Most Eritreans would love to leave Eritrea to go anywhere. This is the result of the harsh dictatorial treatment by our DIA and his supporters. We brought this ourselves. We let these goons play with our country. I think we really have to see the reality inside Eritrea. We have to be in their shoes. War will never be an option anymore. Peace at any cost: even sharing our ports. Why didn’t Ethiopians leave Ethiopia for Weyane and seek for peace in other countries? Having a dictator doesn’t mean you have to sale your country. My friend, homelands are not for sale for a piece of bread. It appears, the most important thing for you is to get fodder and filling your stomach, void of any human values. Mr. Acria, you can graze wherever you like, but don’t call the Eritrean people to join you in becoming slaves of a very poor and uncivilized country; it is an insult for them. Eritreans have pride, history and humane personality. They enjoy human values and they have sacrificed dear for it. Let me be very clear about my standing: I have never ever supported this regime, ever. I have never paid 2 % of my income, ever. I will never comprise my stance to bring reconciliation with our DIA and his PFDJites. As far as I am concerned, these goons either have to create a civilian government and leave the country peacefully or they have to leave Eritrea by force. These are people that have no humanity at all. These are the people who imprisoned our late nonagenarian father Hajji Musa and let him die in prison. My friend, open your eyes: we are already in slavery in a hermit state. We have tried 27 years to alleviate the suffering of Eritreans, but to no avail. That was option A. Now, we have to try option B, notwithstanding that we will still try option A.
Eritreans are sending us a message. They don’t like our DIA and his PFDJ goons. The support of the PFDJ was damaged when we lost the war of 1998-2000 to Ethiopia ( or Weyane). Now the support is even getting slimmer when our DIA is goofing with Dr. PMAA. The PFDJ supporters are getting stoned by what they have done to Eritrea. You can’t dance with a dictator and expect a reward. All the time and money the PFDJ supporters wasted is going to benefit Ethiopia now indirectly. What a wasted investment. Instead of standing with justice, they stood with the dictator for injustice. That is exactly what happen when you are a sycophant. You see Hameed, it is not that I want Eritrea to be united with Ethiopia just for the sake of it, it is because it will bring the die hard supporters of our DIA to their common sense and become his enemies. On the other hand, I think peace through economic and political integration, we have different spectrum for this scenario, is a must. Our hermit state will be less controlled by PFDJites and open to world where it is not easy to hide crimes against humanity. I want Eritreans to move freely at home and to Ethiopia. Most of the them can would be limited to the Norther part of Ethiopia due to language limitations. For this reason, it is imperative that we create an atmosphere where we respect everyone of our human species: Tigreans, Amaras, Oromos, Afars, Somalis, Christians, Muslims, pagans, you name it. We need to stop the identity crises that we are better than Ethiopians. If we need to think like that, we need to keep our house in order. At this time our people are desperate and our country is in a mess. Definitely, we don’t have time to insult each other. I believe that it is high time for option B now. Dear Berhe — Ethiopia rightfully decries the earlier Nile basin agreement as it didn’t have the correct type of representation and involvement. Now it’s involving itself in a similar kind of arrangement but this time it’s the one denying the involvement of important stake holders – Eritreans. And this isn’t the first time. Projects that don’t involve genuine participation of stake holders are hardly sustainable and this won’t be different. It’s similiar example but the consequences are not the same. For example, Ethiopia can live without using Nile, it’s not the same for Egypt. It’s very hard to fight and win over people have nothing more to lose. That’s what the war of independence had become and they push their agenda it would be the same. Economic integration is good, but the point you keep missing is that it has to come from within to sustain. Whether it is the oil pipeline and the railway, It is all about Ethiopia: how to satisfy the 100 million plus hungry population. Eritrea, rather the people in power, will benefit from some of the port revenues. Majority Eritreans will not see much of a change, economic or otherwise. Have you seen any benefits to the Eritrean people from the Bisha Mining? I don’t expect any benefits from the proposed Potash mining either. PFDJ is all about betrayal, destruction, and I am afraid its legacy might even be worse. ኣድጊስ ካብ ሙማታ ሙግታታ. What benefit? We are still stunned the fact that the body of Eritreans who fought and bled for the country denied entry to their homeland for burial. Such evil act can’t be a foundation for genuine integration or development. At this critical moment reclaiming our country, our rights, and our dignity should be out priority. You are right. But, how? When the Eritrean diaspora is only vocal and when the Eritrean people in the country are deaf, how is that possible? We’ve shouting for the last 27 years, but to no avail. When elements of the Eritrean population, they sycophants, have been dancing with our DIA, how is that possible to achieve our dignity? You see my friend, the blame is squarely on us. We let Eritrea bleed its youth to exile. There is absolutely not future for Eritrea without its youth. It was the gallant youth who brought Eritrea’s independence. It is the fleeing youth who will bring the demise of the country as well. I think we should not undermine PFDJ is a deadly virus, and its removal is vital for organs to function. Indeed, it is unscrupulous creature. Its removal will require opening of the Pandora’s box. Cheap transportation, railway, is vital for Eritrean economy too. But it have to cover the whole nation, and production performance have to grow too. The problem is we are not building the country. Our economy is stagnant. As I said it before, this is all about Ethiopia. We are not producing anything for the country or for exportation. I don’t mind Ethiopia using the Assab port. We are not using it anyways. Eritrea can benefit only when the gangs leading the country are out of the picture, period. With them, nothing good is coming to Eritrea. So, let’s not pretend that it will be good for Eritrea. Not now. Selam Horizon, I think this is a very good news and it would definitely contribute to a better economic integration of the two countries. The Eritrean people, who have been under the yoke of a vicious dictatorship may not draw an economic dividend as they should for now, but in the long run, such projects are the cornerstones of economic integration. What is very strange is that we Eritreans are learning of such good news that concern both countries, only from the Ethiopian PM and the Ethiopian news media. If I remember well, the Eritrean regime didn’t even mention the plans of UAE to build oil pipeline between Addis and Asseb. Advice your PM, Dr. Meddamar, to demarcate the border on ground between the two countries, before he spreads his railway line or any other agreements with the Gondere Lig. The border is already demarcated according to eebc, if u r talking about the occupation of eritrean land ? the ethiopia army started withdrawing the troops from the occupied land and before u know it, it will be under control by eri gov. Selam Tedros A., demarcation means putting the physical pillars at the border; until this is done we cannot say the border is demarcated. But it seems the Ethiopian side has never been interested in this, and now the Eritrean dictator seems to have forgotten all about it. It has served him well for his political stranglehold of Eritrea in the last 20 years; so now its service has expired. both ethiopia and eritrea gov accepted eebc decision without preconditions, it means there is no border dispute between the two countries and the world knows where ethiopia and eritrea border located. withdrawing the army and admenstrations works according to eebc is work on progress and army withdrawal already started. Selam Tedros A, both govs accepted it , well and good, then they have to implement it fully by putting the pillars at the border. We cannot leave this issue to trust, and we should not leave any ambiguity and uncertainty to our future generations which could put them at destructive wars. No procrastination needed. In 1998, the world also knew where the border lie between the two countries according to colonial treaties, yet it didn’t save us from slaughtering each other. they r on the process to implement it and it takes time. There r so many issues in it and they r working on it . 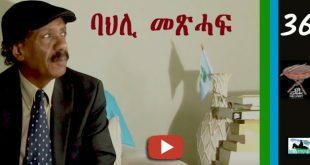 Dear Teodros Alem, when your PM was asked a question about the border issue during his visit in Germany, he said, it was not discussed, something to that effect, and when the Eritrean dictator was asked about it in the Eritrean tv, he ignored the question, giving the impression that the border issue was not a priority. So these observations do not let me believe your claim that they are working on it. All i know both gov agreed on eebc decision with out preconditions and i know the ethiopia army started withdrawing the troops from the border area . Instead of splitting hair, it’s batter to understand the whole concept of what pm 3A said about it. What i understand from the Pm, the new eri_ethio relationship is not just about demarcating the border but it is about economy integration and cooperation and the whole horn region peace and development. Dear Teodros Alem, this is not hair splitting; it is a matter that was used to send tens of thousands of Eritreans and Ethiopians to their death. No matter how much integration Abiy wishes, we should have clear and demarcated borders to rule out one excuse for future wars. Clear and demarcated borders are what makes sovereign countries. Remember the implementation of the eebc ruling is 17 years overdue! 1, withdrawal of the army is work on progress. 2, there is no logic that say once u were enemy, u will remain enemy. 3,if u have to go to war, demarcated border or no, don’t protect u. There r a lot of countries goes to war on non border issues. 4, i don’t know in what logic, some people in this forum think , economic integration and cooperation with ethiopa is just ethiopia interest, that is way way far from the truth. the number1 priority of ethiopia regarding eri is peace , the rest she can get it from other neighboring countries in a better ways. 4. This doesn’t apply to me; but like other forumers, I believe as far as Eritrea is under the complete control of DIA, then the economic dividend to the Eritrean people of any integration or deals is minimal. This one is my last comment in this exchange so thanks for engaging for now. I agree with you. It is a matter of Sovereignty and legitimacy. The border must be demarcated. Don’t listen to Ethiopians. We need the completion of the Hague decision by putting the markers on the ground. It is my understanding that the despot is sabotaging our sovereignty. Any other agreements they could enter without the demarcation of the border and consultation of our people will not have any legitimacy, no matter what. do u have any alternative other than the previous “no war no peace and the new relationship between ethiopia and eritrea? to achieve anything other than the previous “no war, no peace” and/or the new pia and 3A peace agreement, u need to overthrow PIA and/or u need to over run the ethio army. can u do that? It is not as simple as retiring by talking cra”. Yes, I understand the border is demarcated on the map, but not on the ground. Demarcation on the ground is very important from entering into fresh wars with Ethiopia, whether in the near or far future. Putting troops on the ground is not considered demarcation on the ground. Troops may enter war and be defeated, and enemy may regard what they occupied as their territory. My friend, the issue is not a kids play, we have to follow law and rules that manages the world. Why do demarcation on the ground not important to you? i told u the border is demarcated according to eebc, the world knows the latitude and longitude of the two countries border based of eebc. withdrawing and admenstrations is work on progress, u know the saying “rome wasn’t build overnight” it needs time and people live in the border. Why do instigating confrontation on a settled issue is so important to u? I think the line from Mekele to Addis is well in progress. From mekele to the port is what is missing (or new news). Probably not necessarily Massawa. It could be Tio or other point of interest, to justify the cost. Import-export trade with the EU passing through asmara and mekelle to reach addis, does not seem to be the best choice for ethiopia. It will be tremendously expensive. The cheapest and the most practical direction is through the afar state to àwash. This is more or less flatland and the shortest distance between addis and massawa. Moreover an alternative railway line gives a solution to the unstable political situation in which the country may be blackmailed any time for political reasons by blocking the railway. The afar state has a lot to gain in development and infrastructures, making it a crossroad for ethiopia’s trade with the outside world. Of course, eritrea will have to build a dependable railway line connecting massawa with asmara, and it has to extend it to the sudanese and ethiopian borders. I just read “Ethiopian Narrative On Eritrea Is Back With Vengeance” on Eritrean Digest and watched the clips. The use of words like “ERITREAN RETURN”is not only denial of historical facts but also has a coded message. He was discussing Ethiopian diplomatic achievements and the first thing comes to his mind is Eritrean annexation. Does he really believe it is an achievement? If he does, what does make him different from Haileslassie or Mengstu? Does it occur to him because of that Eritreans were left with no choice but to resort to arms struggle to win their right for self determination, in the process paid thousands of lives. The term “ERITREAN RETURN” is synonyms with the Haileslassie or Derg era and its usage is insensitive and disrespectful to Eritreans. Further more he used another term “OUR PORTS”. Since when did Ethiopia has ports. As far as we know Ethiopia lost the port it had occupied by force, when Eritrea became independent. Do you think Abiy would have used “OUR PORTS” if he was discussing Sudan, Djibouti or Somalia? ዶ/ር ኣብይ ከምኡ ኢሉ ብዛዕባ ኤርትራ ዝዛረብ ዘሎ ታሪኽ ስለ ዝጠፍኦ ኣይኮነን እንታይ’ዳኣ ስለዝናዓቐና እዩ! ልቢ ሰብኣይ ክንዲ መርፍእ ንሳ እኳ እንተሰዓምካያ ትጠፍእ፡ ኢለን ኣንስቲ ክምስላ ሰሚዕካ ዶ ትፈልጥ? :-). I am truly humbled by your kind words. Thank you. We are here to learn from each other but most importantly to inspire the younger generation so that they keep on learning for ideas matter. Thank you again! I don’t consider myself religious person but I believe in God and my confessional denomination is Orthodox Church. When I was growing up, I regularly attended Sunday schools but read the Bible through a person who was not supposed to write about the Bible much less anything related to faith. I have always been a big fan of the Biochemist/Science Fiction writer Isaac Asimov who had close to 500 books to his credit ranging from the sciences to anything you can think of. And one of his books was, “Asimov’s Guide To The Bible.” The thing is, he was an atheist but wrote the book not to refute the contents so to speak but by analyzing the personalities in the Bible with in historical contexts. I was young with a lot of energy and curiosity back then but of course learned something of a substance from it. Asimov! I attempted to read 1 or 2 of his books because of a very dear, a bookworm friend like you, Mohammed-N a Ghuragie (RIP, as per his belief). Around that time I mentioned above in France when my atheism was gaining roots, I read books on bible from historical background. These were: The Holy Blood and Holy Grail by M-Baigent, R-Leigh and H-Lincoln and their subsequent book The Messianic Legacy. I know these could be shocking books to believers, but just to mentions that influenced me. You have an incredible mental energy and memory. yes there are demos in Sudan… but quite on the border towns of the east. In my opinion, Al Bashir has more enemies than friends, especially powerful external enemies. Egypt has many reasons to get rid of the sudanese president. The reasons being the muslim brotherhood, who are causing havoc in egypt and the sinai, his newly acquired friendship with turkey, which egyptians see as a major opponent, and finally al bashir’s support of the ethiopian gerd, which egyptians consider as a conflict with arab solidarity. He is wanted by the icc for crimes against humanity in darfur, and western powers do not want him for the sake of their geopolitical interests in the region, because he dared to invite the russians to acquire a base in sudan. Within the country, there seems to be a ripe situation for a change after decades of dictatorial rule. I do not think that the gcc will lift a finger to save him, even if he is part of the anti-houthi coalition. It seems that sudan is going to a post-al bashir-period. It is difficult to guess what will become of darfur, and if sudan will return fully to the gcc, egypt and western powers camp, by freezing relation with turkey and the russians. The relation of the new sudanese administration with ethiopia and eritrea remains to be seen. If al bashir survives, then he is indeed a survivor, but there is a chance that sudan may continue in some sort of a political turmoil. The best thing he could do at this old age and after so many years in power is to make a clean exit for his own sake, and for the sake of the country, and spend the rest of his life in a palace in some gulf state. For the people of Sudan, I wish good. They have hosted not only Eritrean refugees, but also many refugees from Sudan’ neighboring countries . And it has played a positive role in our struggle for independence. One wishes that this is a genuine uprising and no regional or international side has initiated it and meddled in it and the people of Sudan have to be careful in this matter. Because foreign powers are only interested on their interest and can flip flop ….see now how those who boycotted the regime in Syria are rushing to reopen their embassies there. The demonstrators also need leaders who are aware of their grievances and at the same time aware of any potential outside interference. 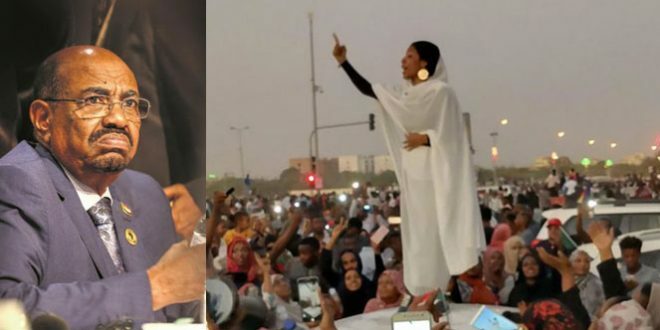 Sudan has legendary political parties but these parties like the one led by Sadiq Al Mahdi or by Al Merghani has to listen to demonstrators not to themselves. They have to put Sudan and Sudanese people interest first before their political gaining. Al Bashir is saying he will leave only through the ballots but this time he has to question the merit of this political right? Is it worth to keep it by more killings? In another words his choice is to see examples from Ethiopia’s Halie Mariam Desalgn or Eritrea’s Isayas Afeworki. I second U but if the allegation that he is trying to consolidate the Muslim Brotherhood thru the help of Qatar and Turkey is true ,then am not sure what the option for the alleged conspirators and External Actors is other than removing him out . But the extent of the protest tells it all that the Sudanese are protesting in Unison,which legitimizes the protest. Could there be a chance where a worse Regime than Al Beshir can take over? We have to be,besides the Sudanese,cautious what we wish for. Am not that there will a worse one than the Brotherhood unless the Islamist followers of Dr Hassan Alturabi or Al Quaeda takes over. Hope and wish for a better future and alternative for our second home,the Sudan! nice music, any body can tell me who the singer is?